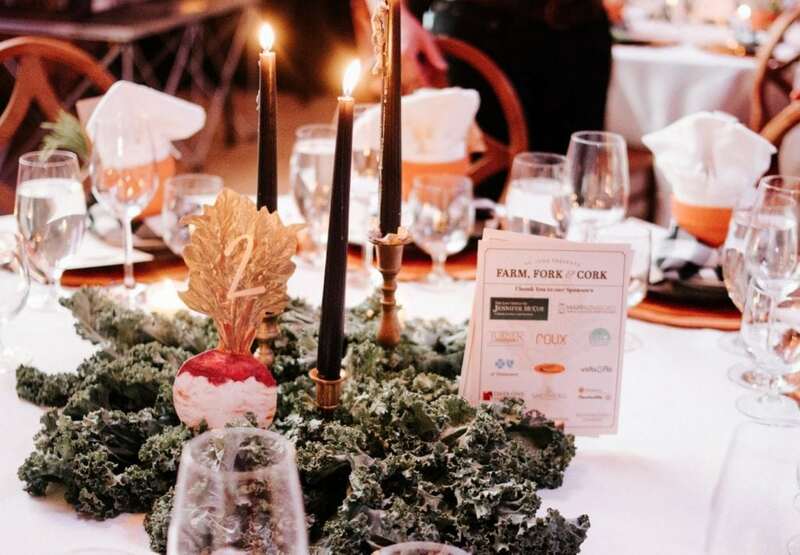 We were honored to work with St. Jude’s Farm, Fork & Cork, where our distinct rentals elevated the fundraising efforts of an important cause. 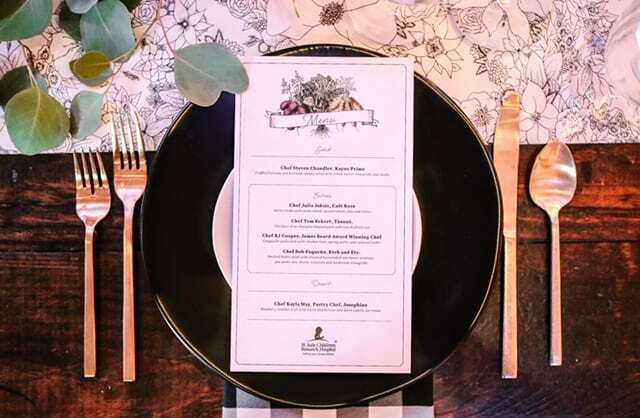 Six of Nashville’s best chefs created a meal for over 300 guests at the private Franklin, TN farm of Michael W. Smith. 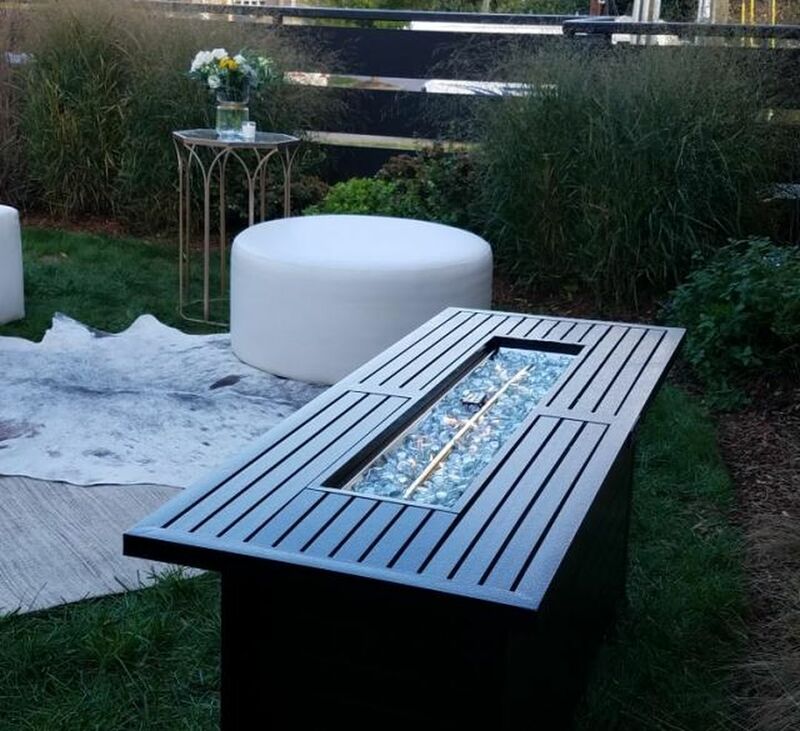 Generous donors were treated to an upscale event with a thoughtful design, featuring natural elements. 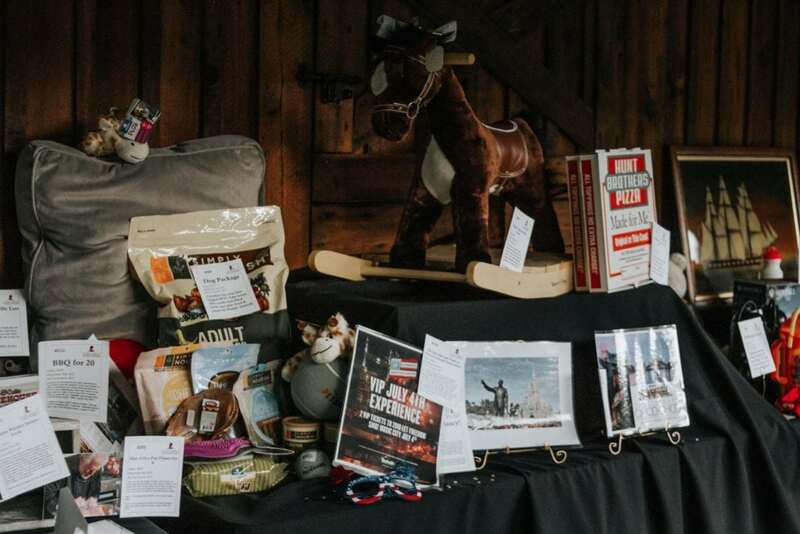 The contributions from this charity event helped to ensure that families never receive a bill from St. Jude for treatment, travel, housing or food. 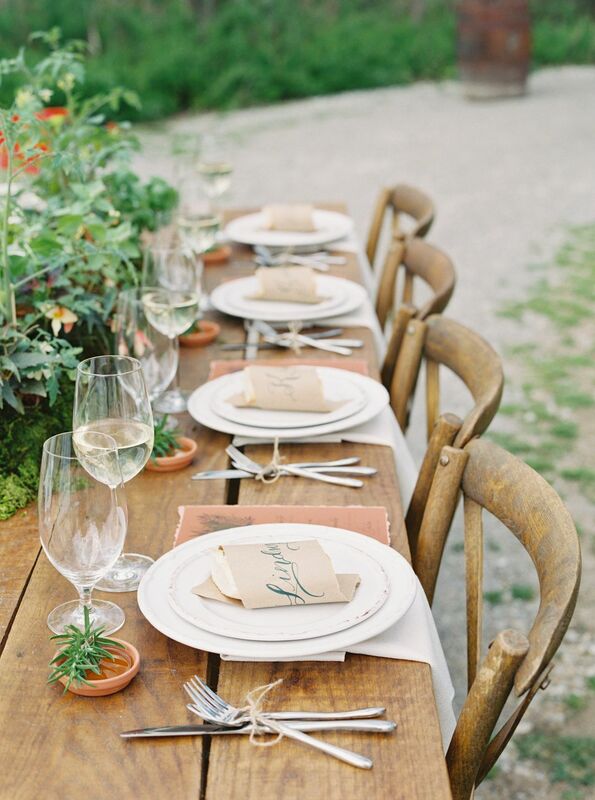 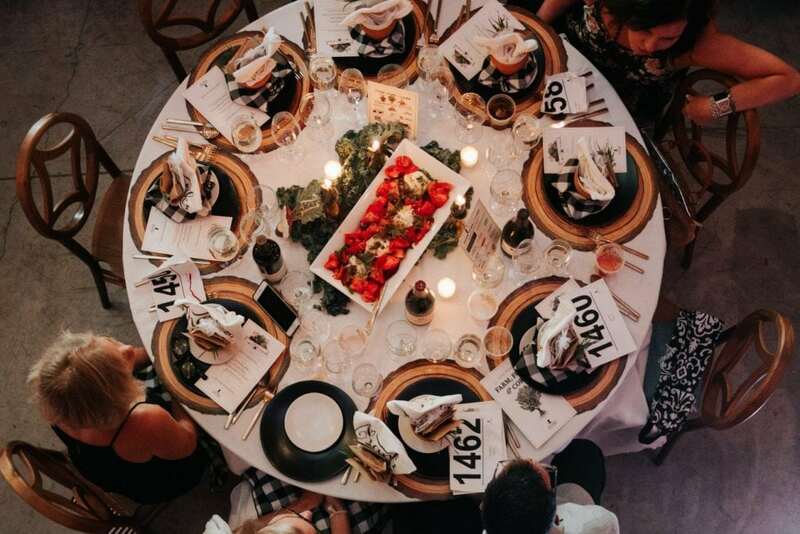 Our fundraiser event rentals played up the farm-to-table culinary experience accented by our Harlin Dining Chairs, round guest tables and long Fruitwood Farm Tables, featuring fresh produce & candlelight centerpieces. 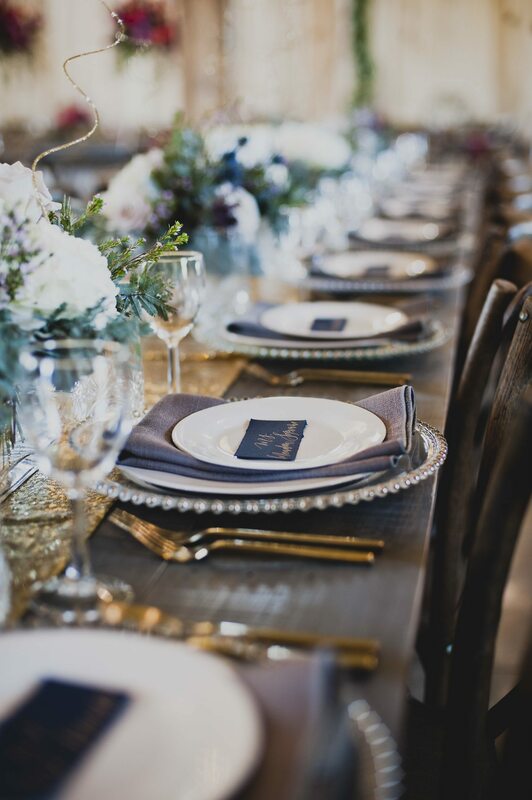 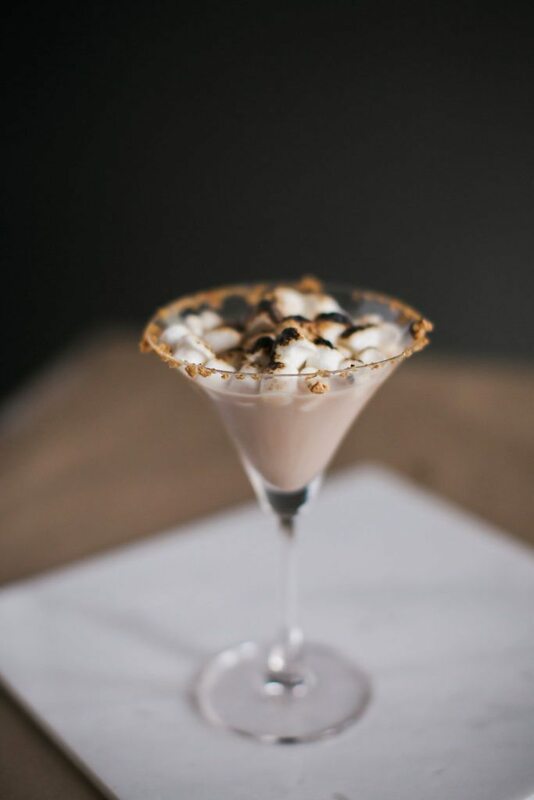 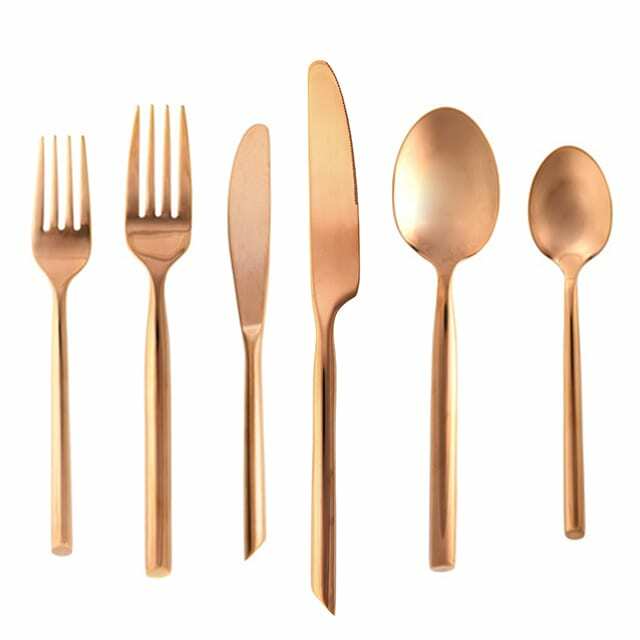 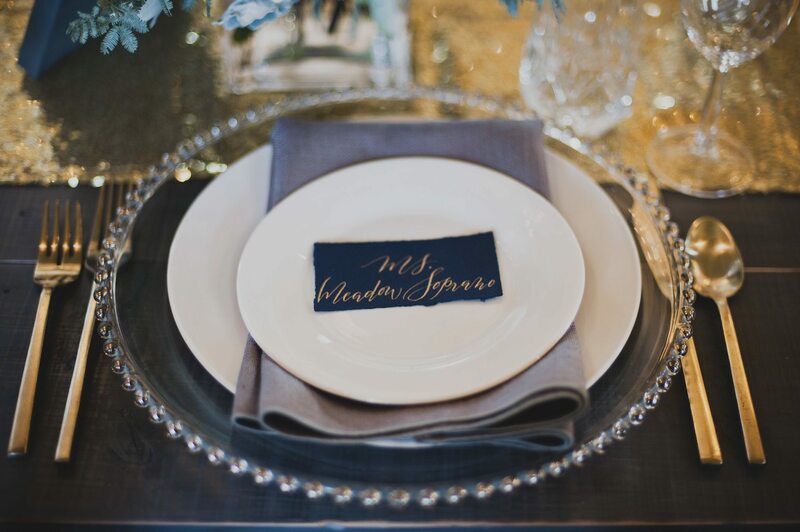 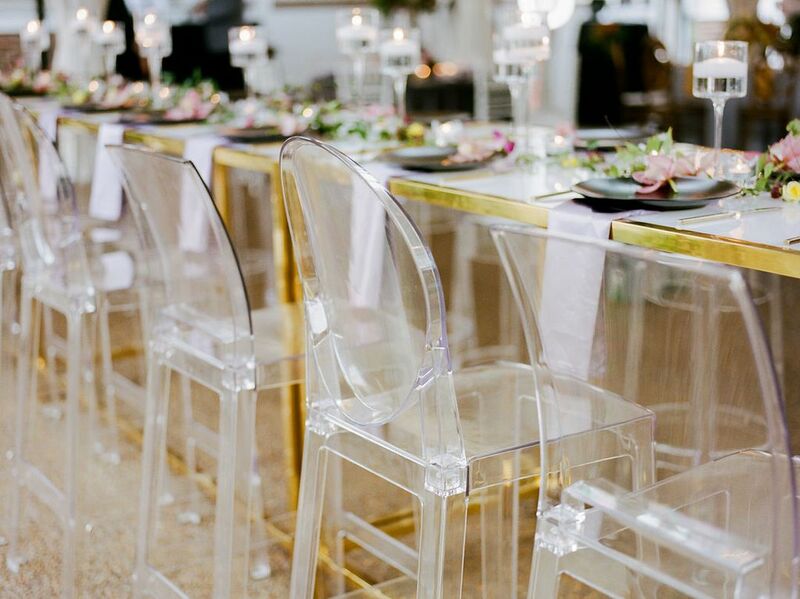 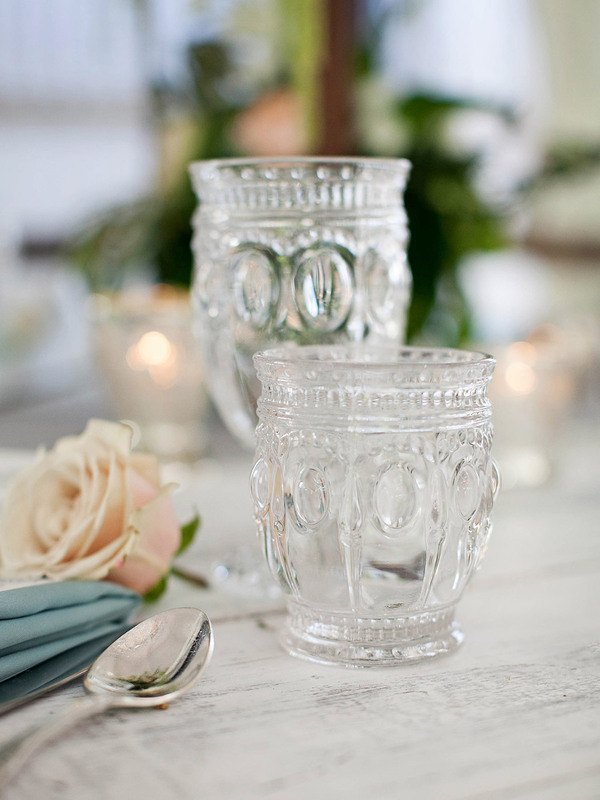 Classic Madison glassware was set on the tables alongside our popular gold Austin flatware, adding gold detail to each place setting. 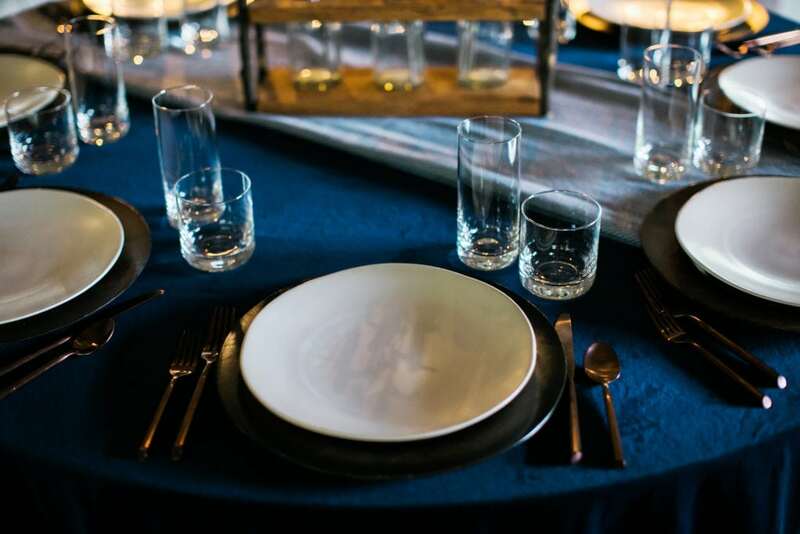 Attendees dined on our Earthen China Collection, with an Onyx Dinner Plate and Alabaster Salad Plate. 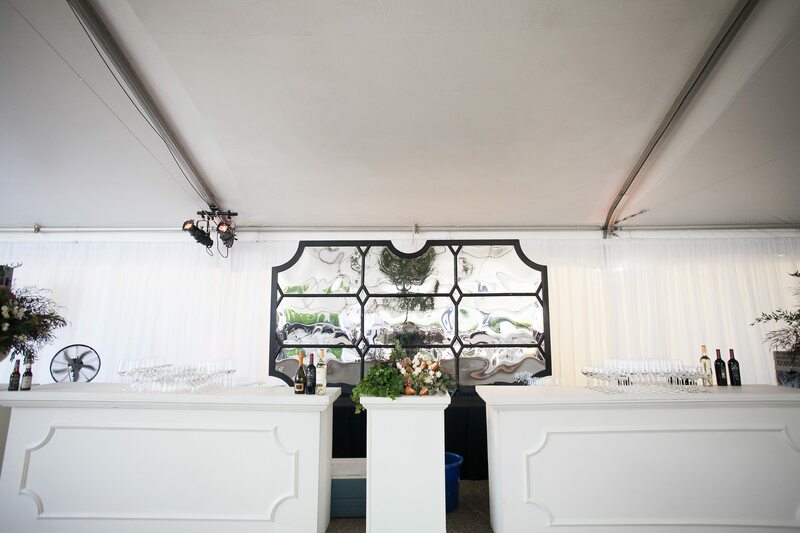 Our distinct rentals were a beautiful addition to a great cause – donors were grateful for a beautiful evening out supporting a massively important cause! 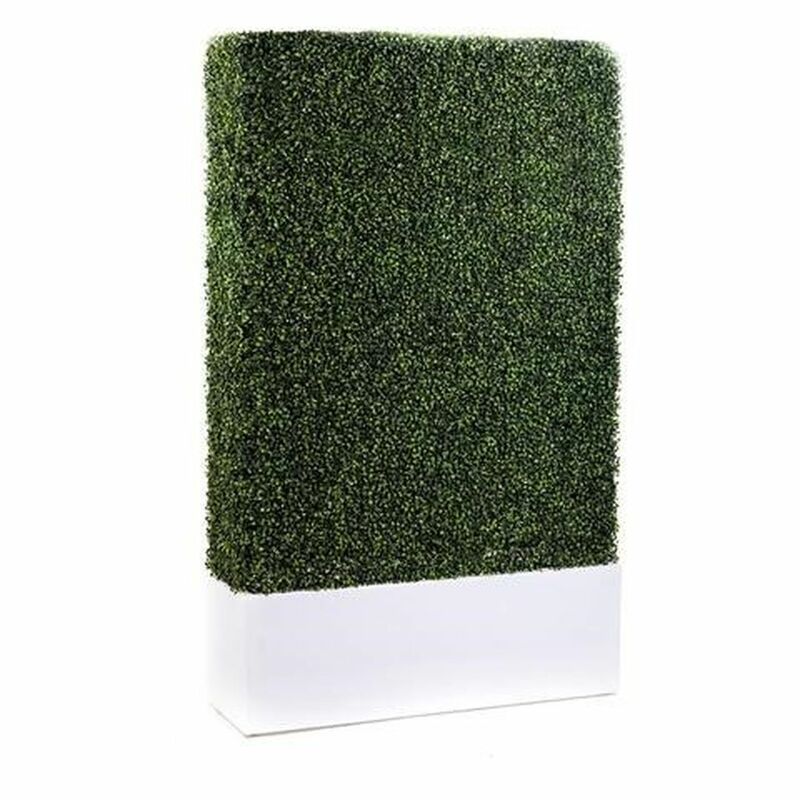 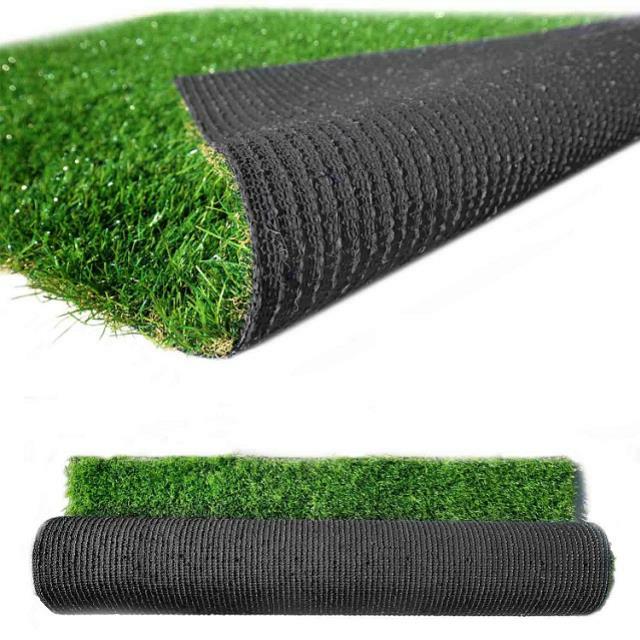 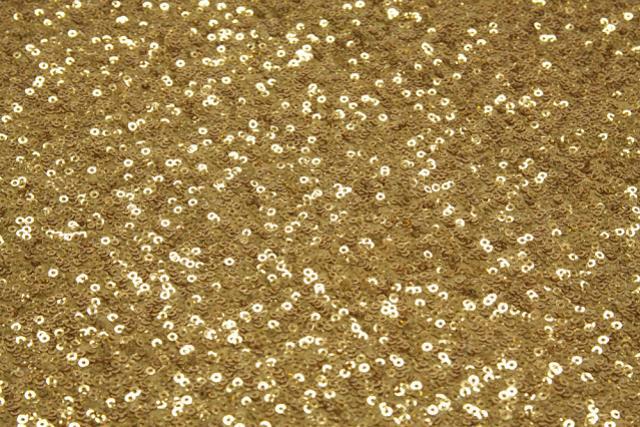 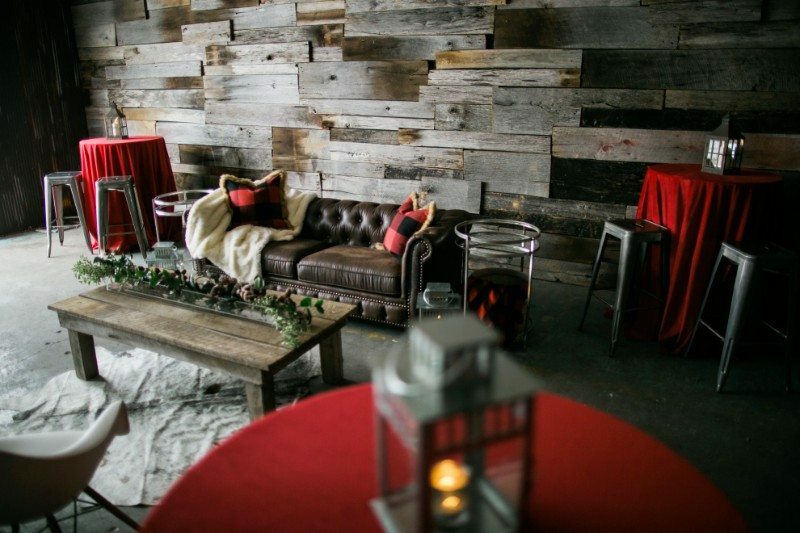 Looking for unique event rentals for your next fundraiser? 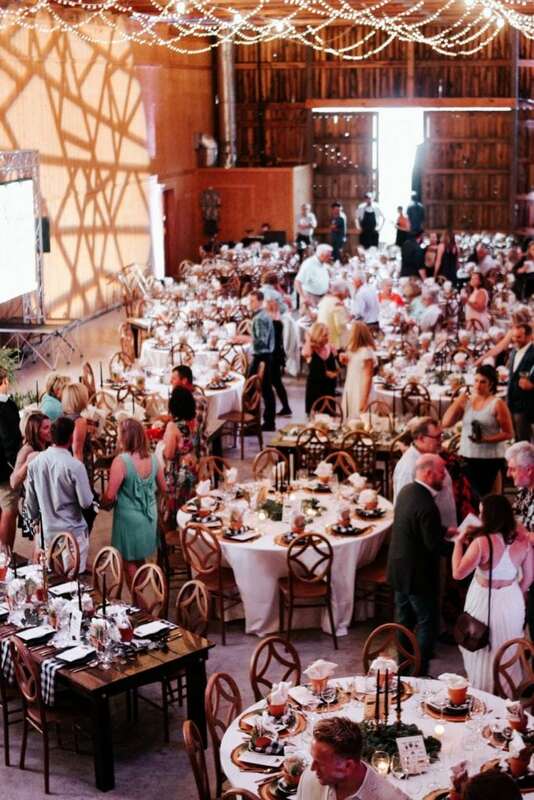 A well-designed fundraising event leads to happier donors and opens up doors to more folks to help with your cause. 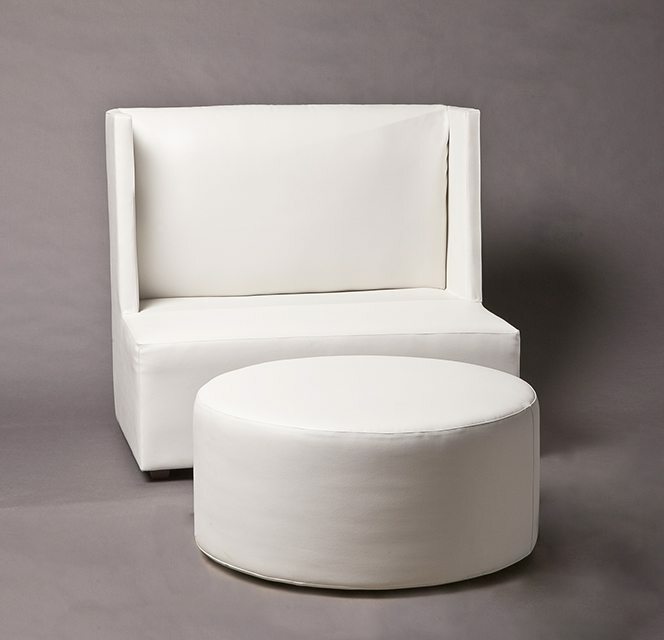 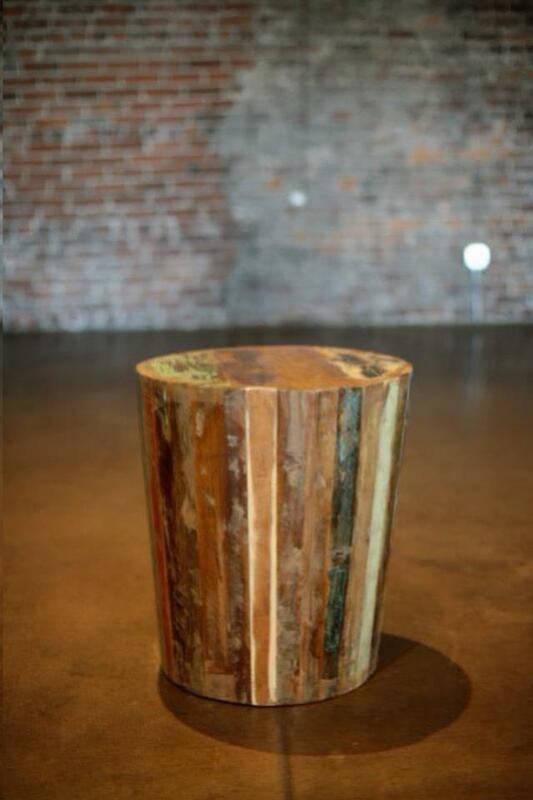 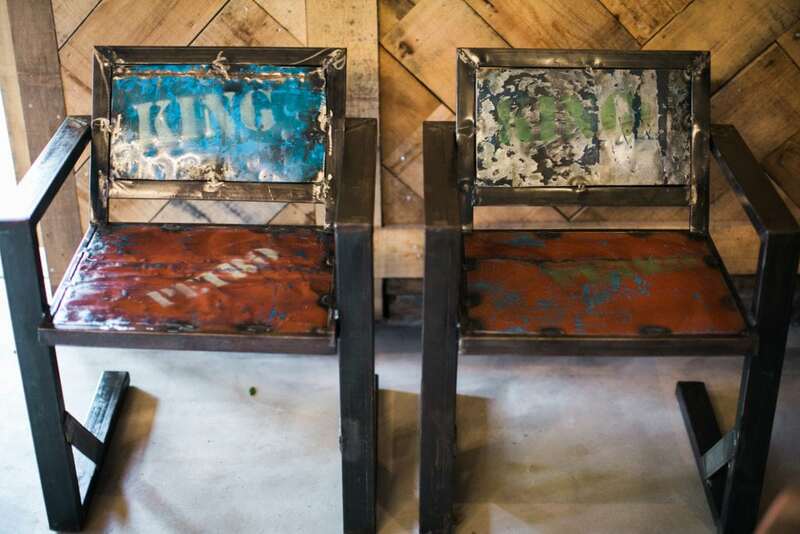 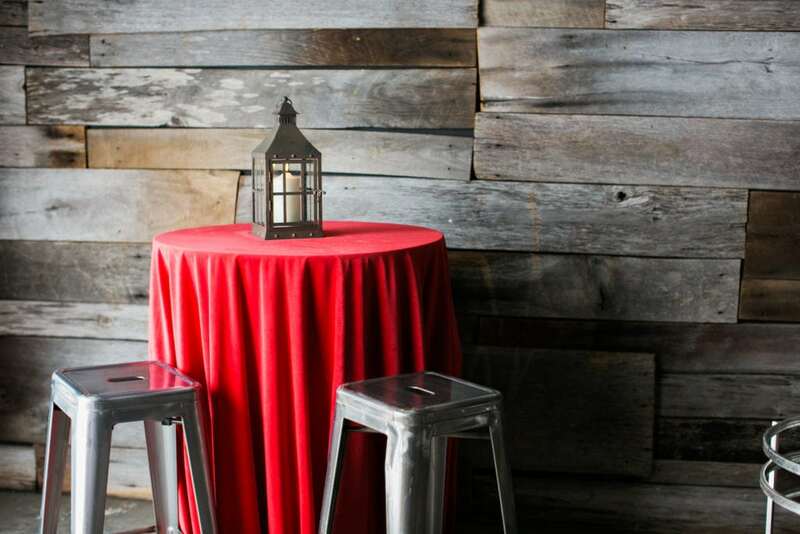 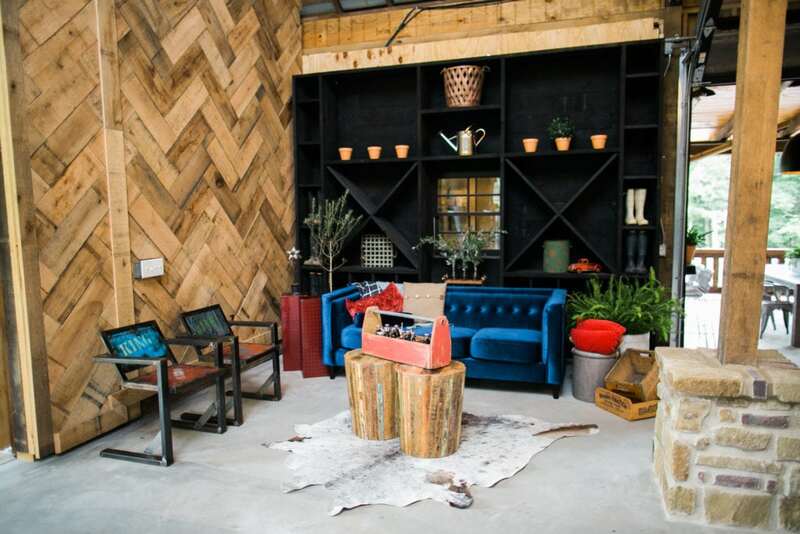 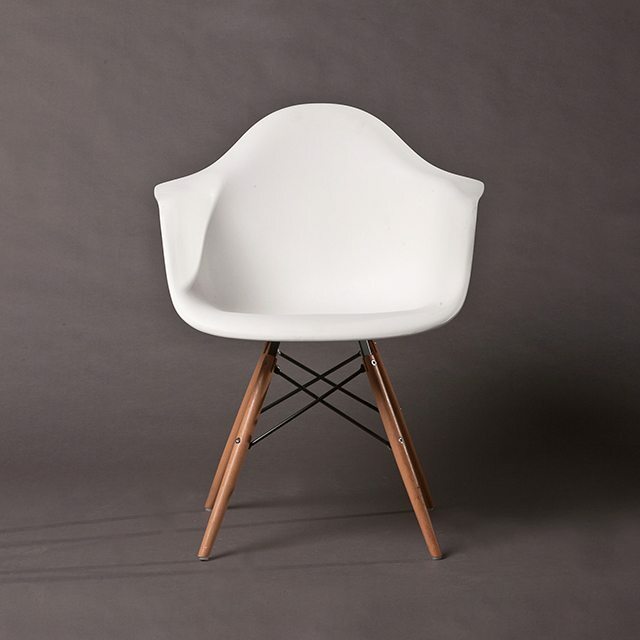 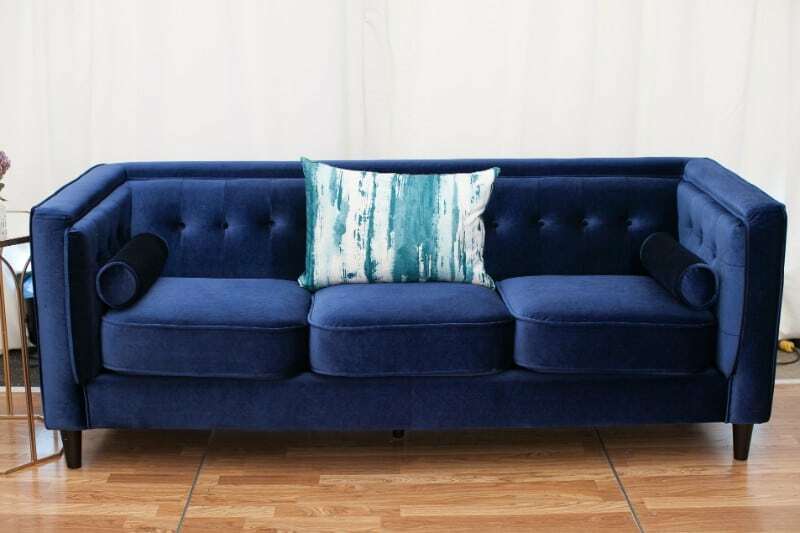 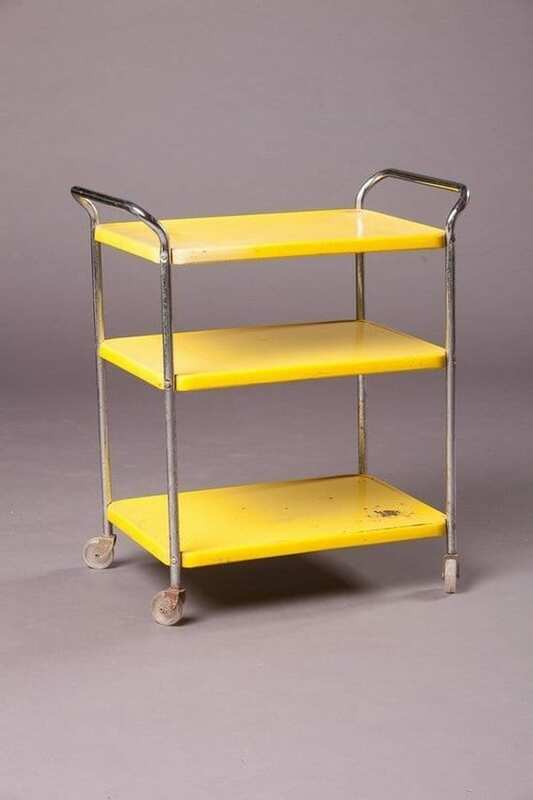 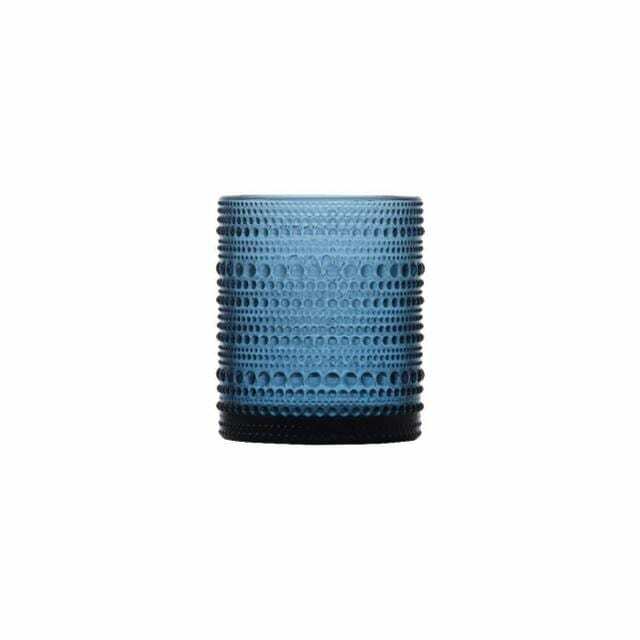 We’d love to chat about how our distinct rentals can raise the bar at your next charity event. 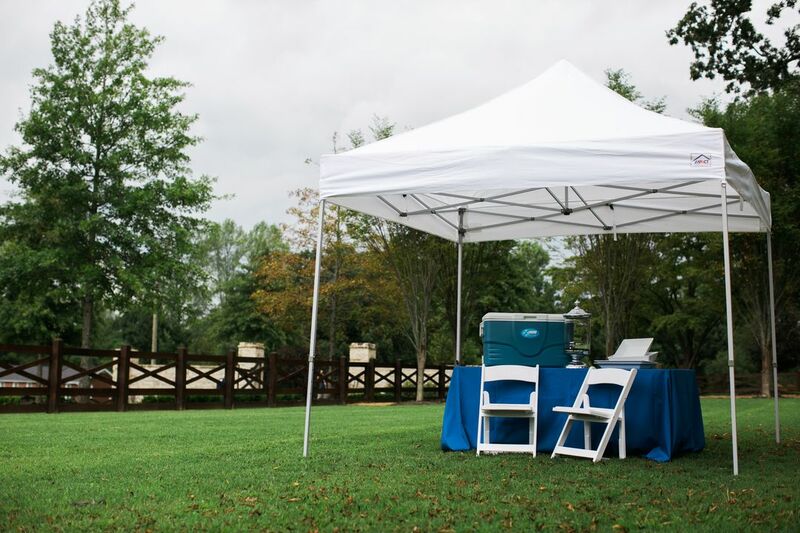 Email info@southerneventsonline.com to start chatting! 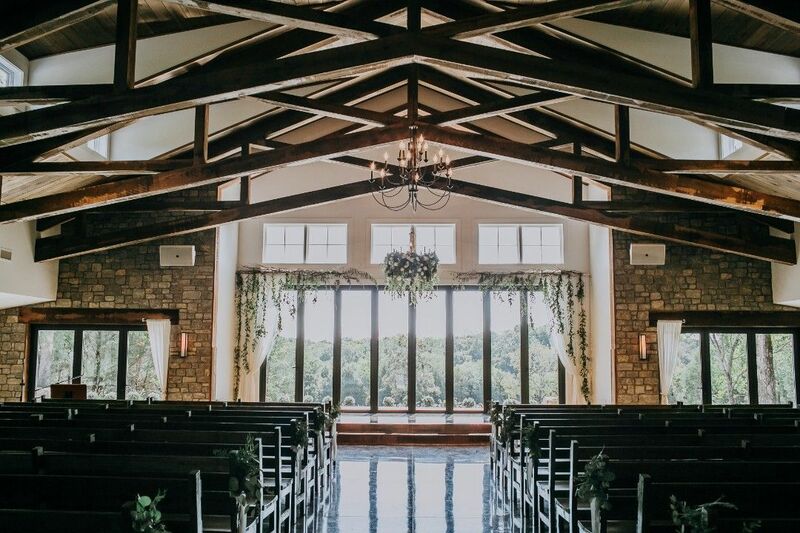 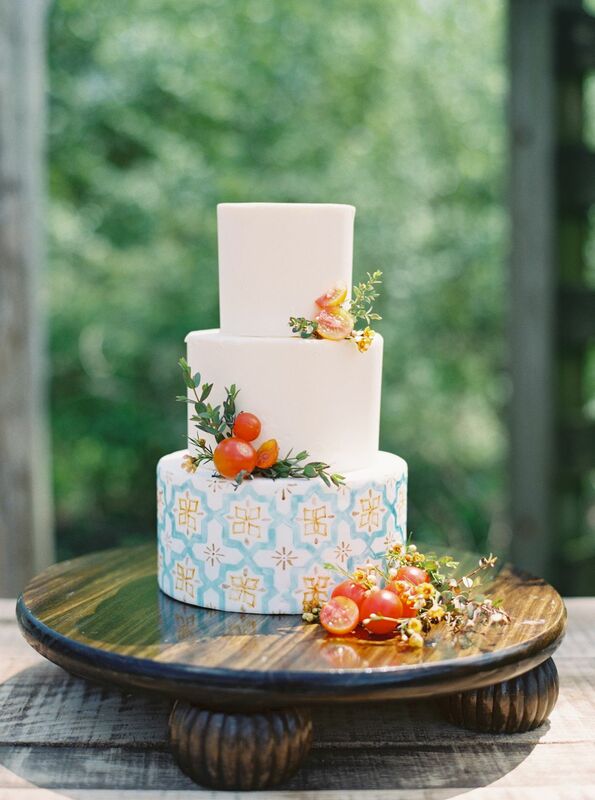 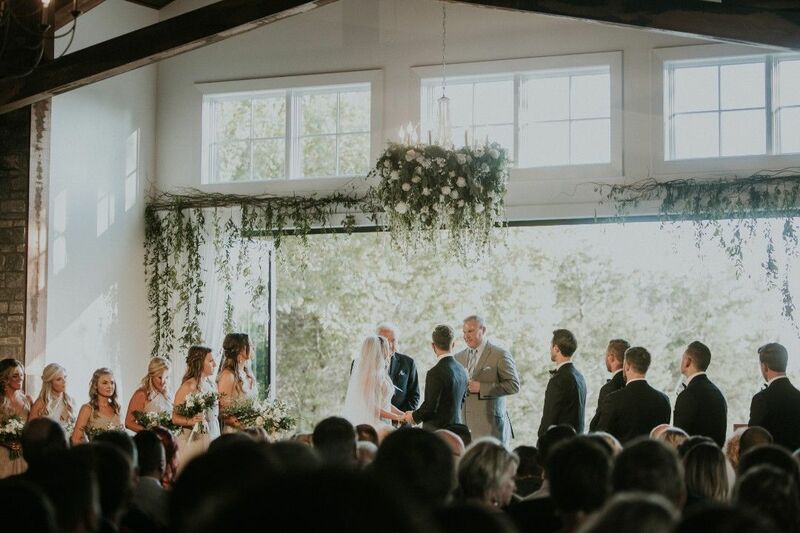 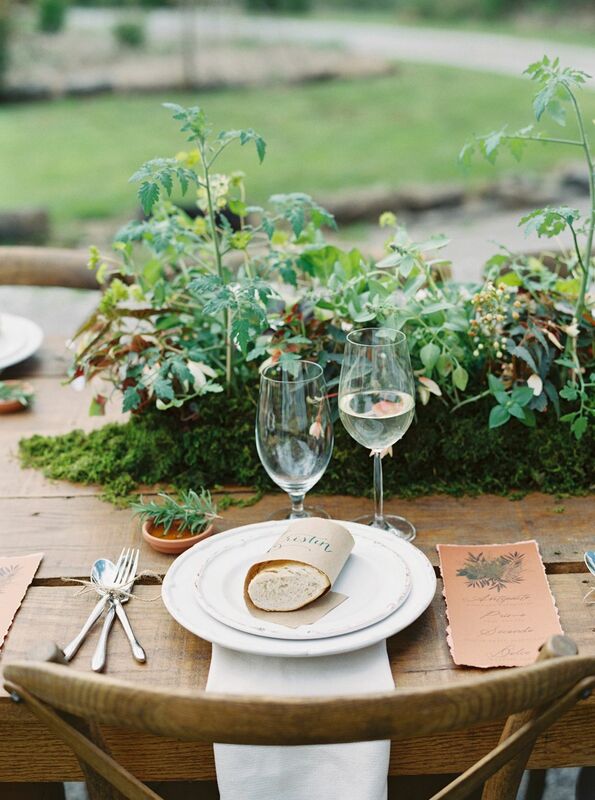 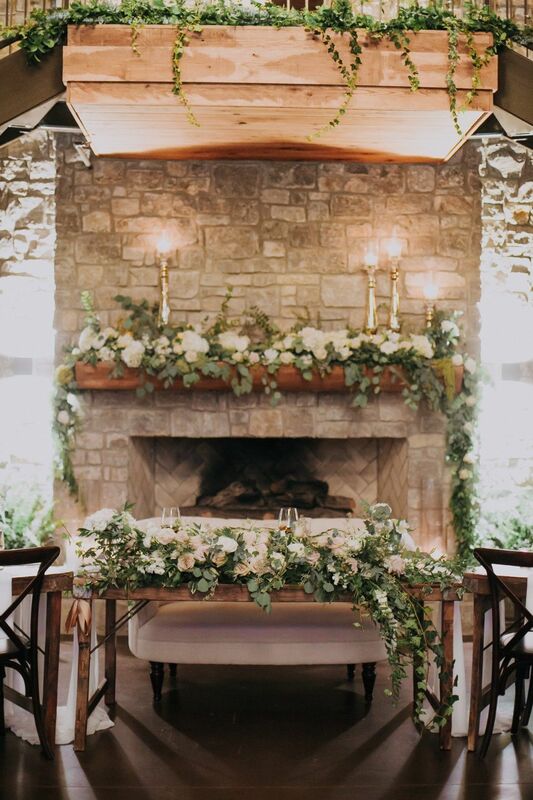 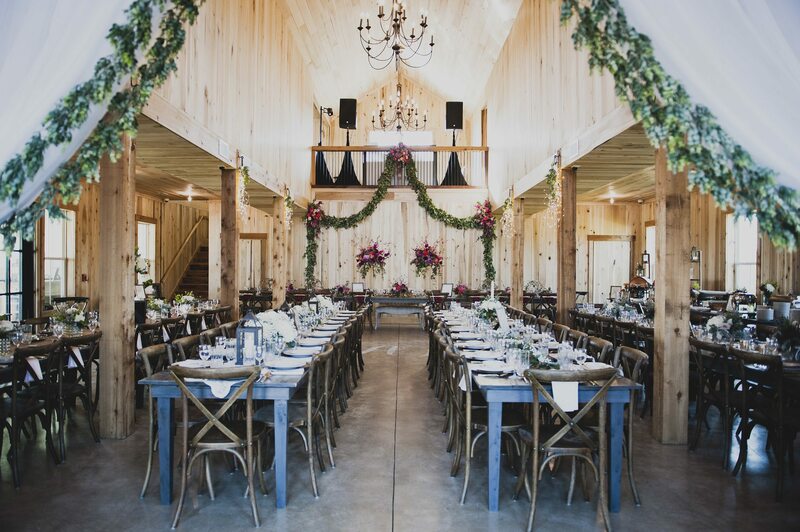 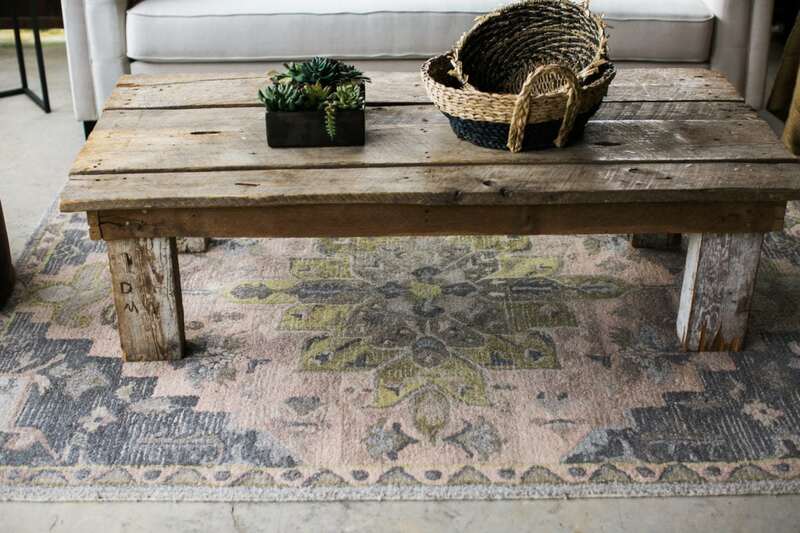 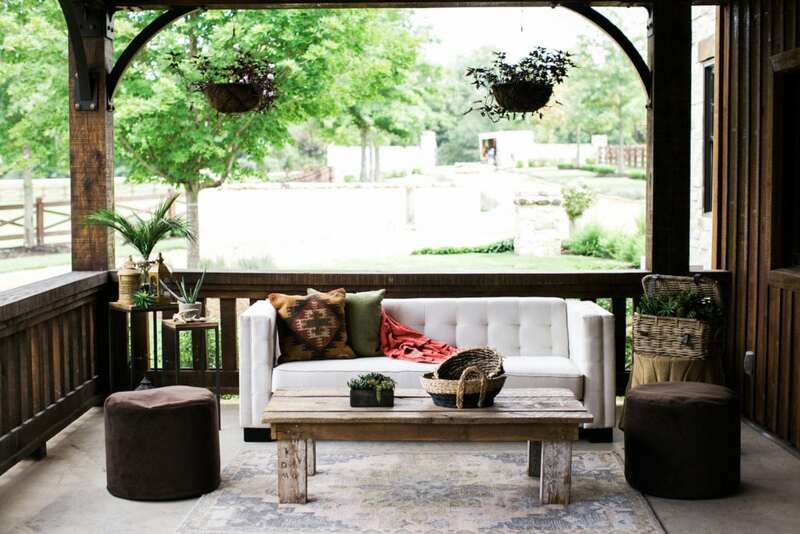 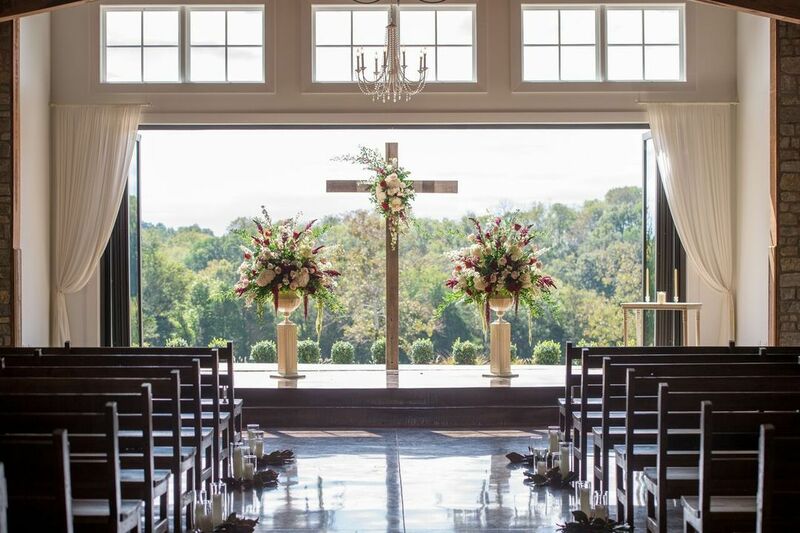 Barn weddings have become a staple of Southern living and the recent open house at Allenbrooke Farms in Spring Hill, Tennessee gave us a blank canvas to reimagine rustic farm weddings. 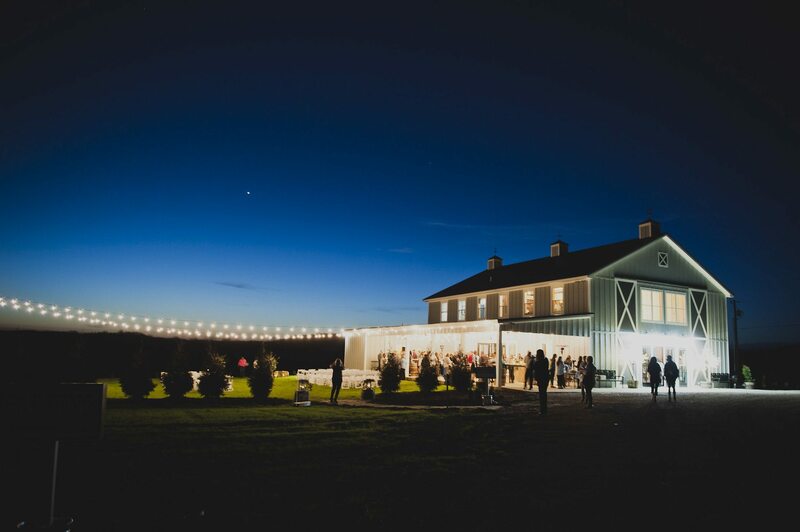 The working organic farm features a new climate control 5800 square feet barn, custom built to host the perfect elegant farm wedding. 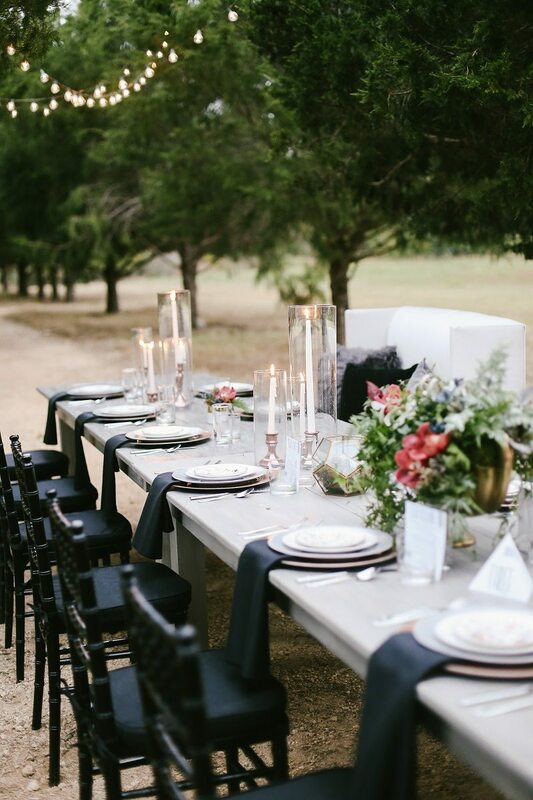 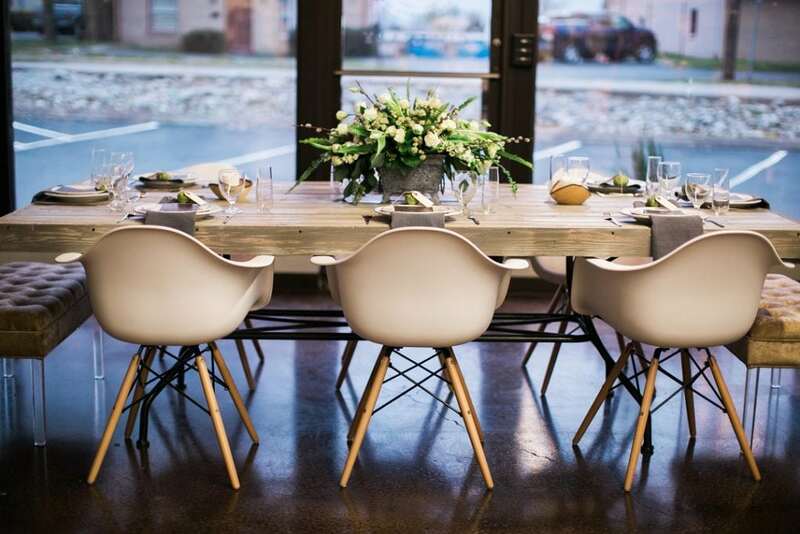 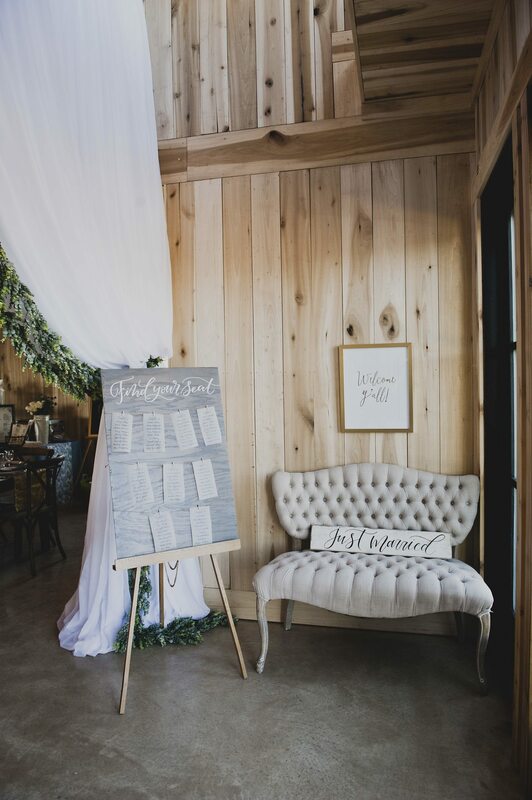 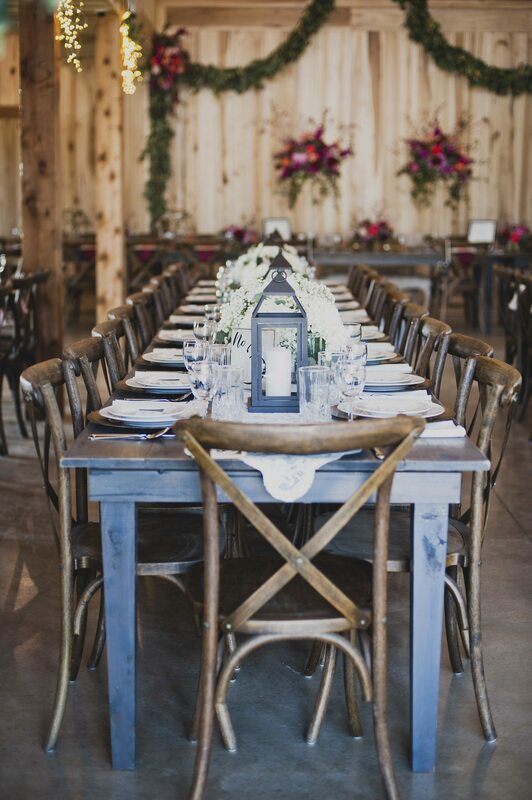 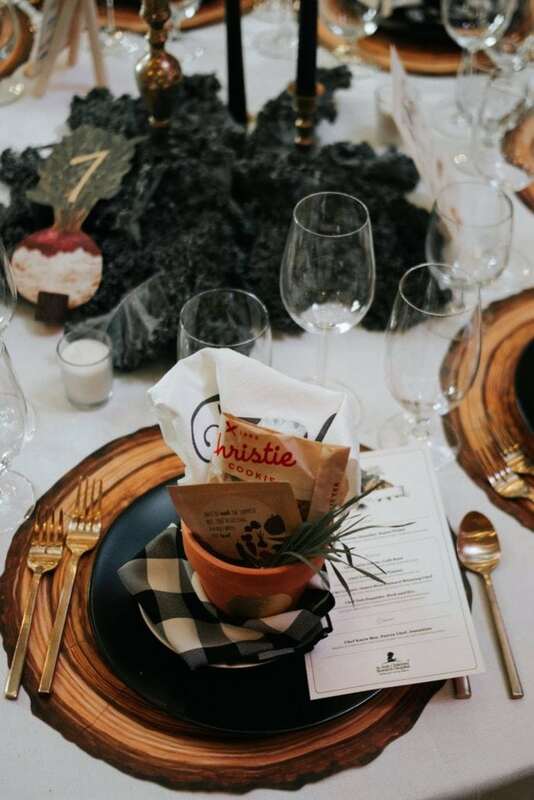 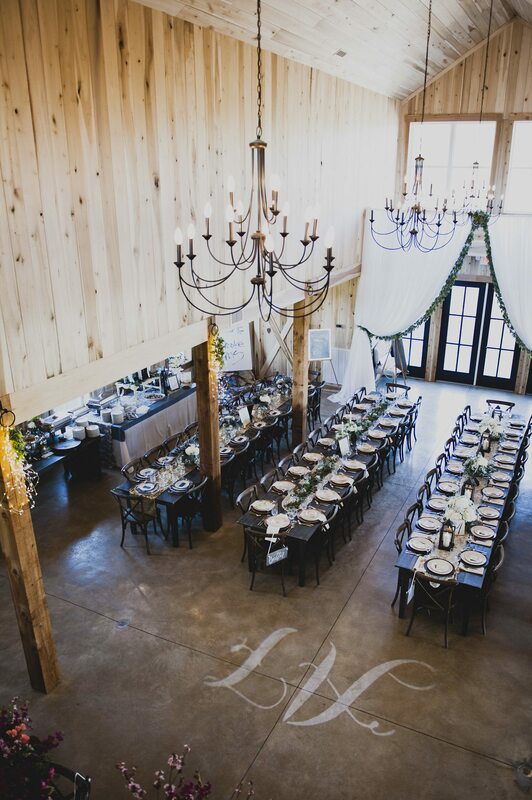 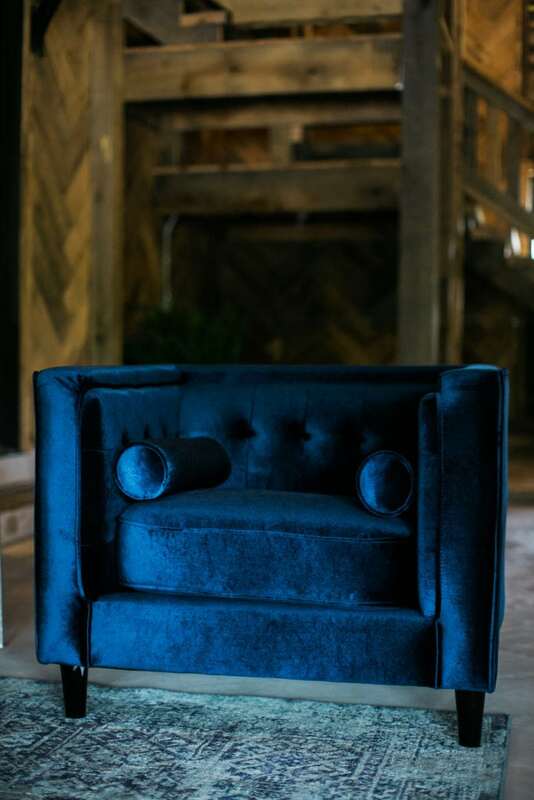 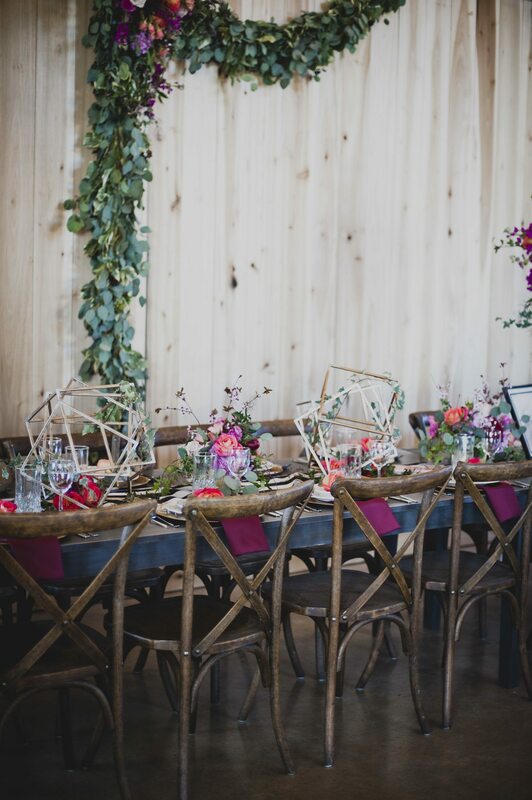 The venue includes its own farm tables and cross-back chairs and we love how dark wood of these pieces contrasted with the lighter wood of the barn, creating a beautiful space for the four different place settings we created with their team. 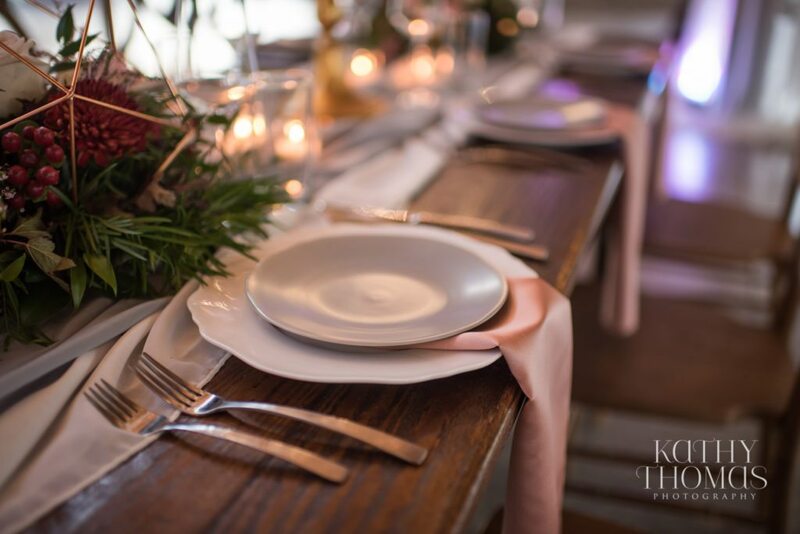 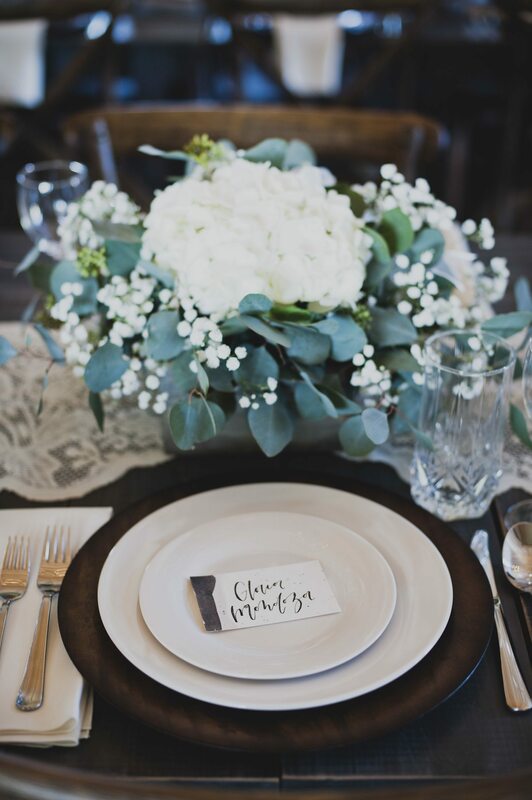 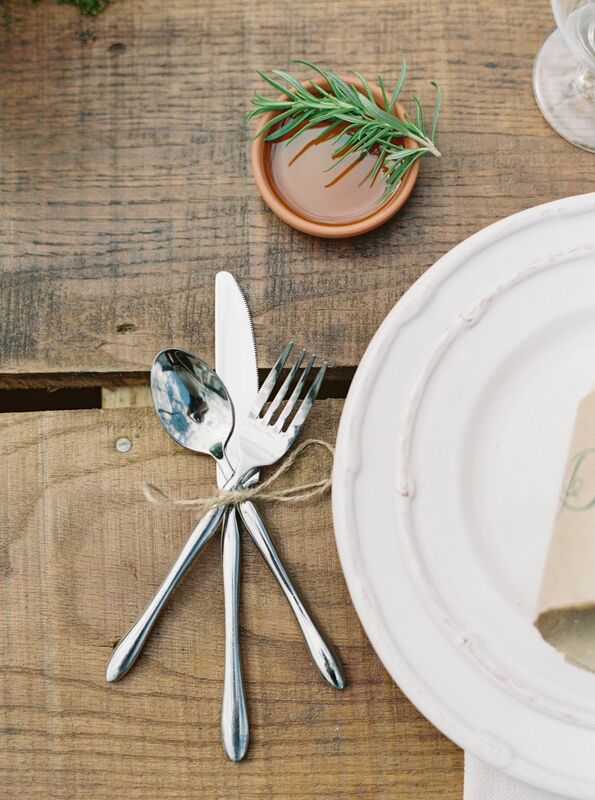 Our first tablescape was a classic and understated rustic look featuring our Wood Round Charger, Alabaster Earthen China, and Lincoln Flatware for a simple place setting. 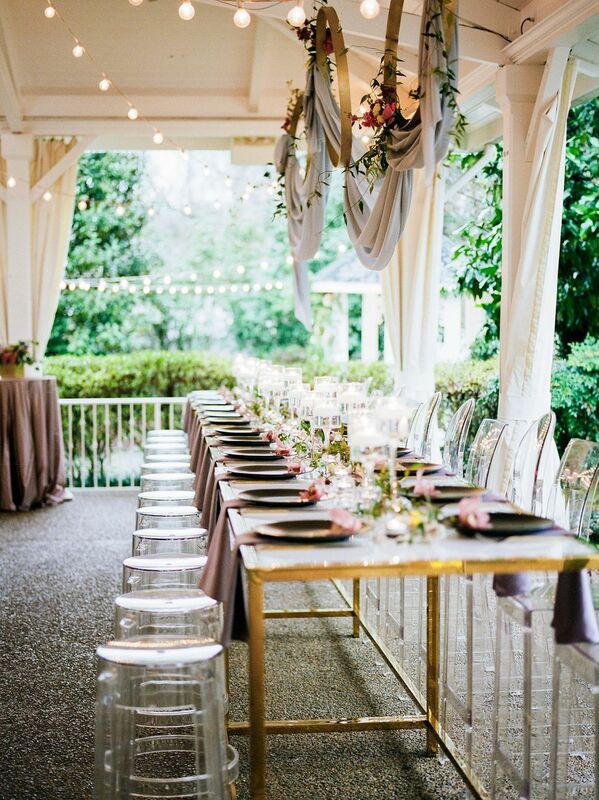 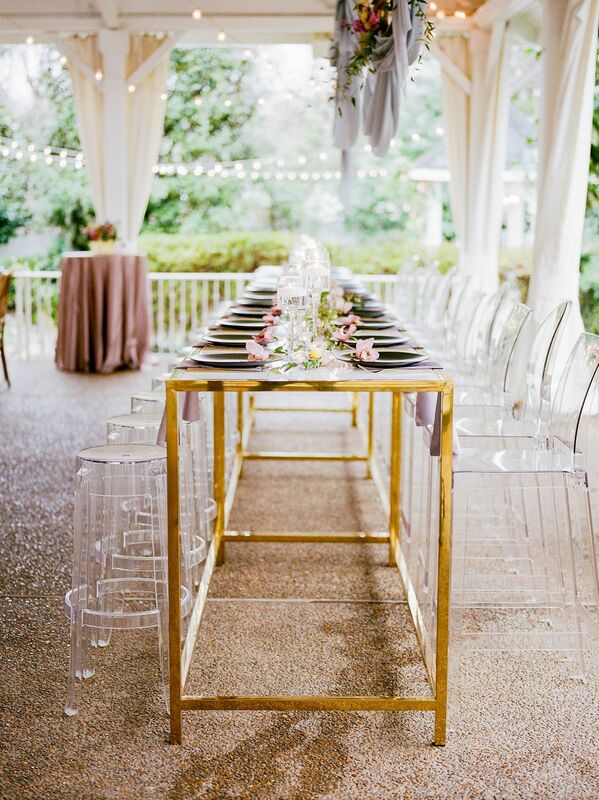 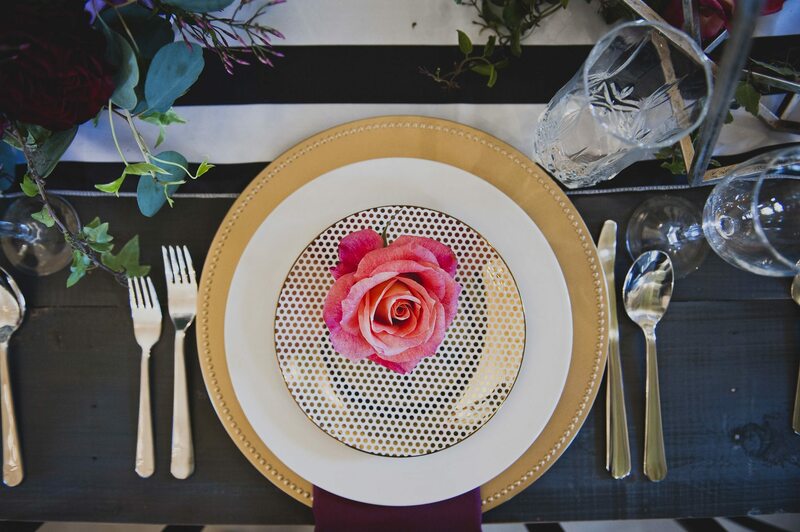 A gold tablescape took advantage of our most popular rentals, combining our Gold Round Lacquer Charger and Gold Austin Flatware with varied Gold Heirloom China for a rich vintage feel. 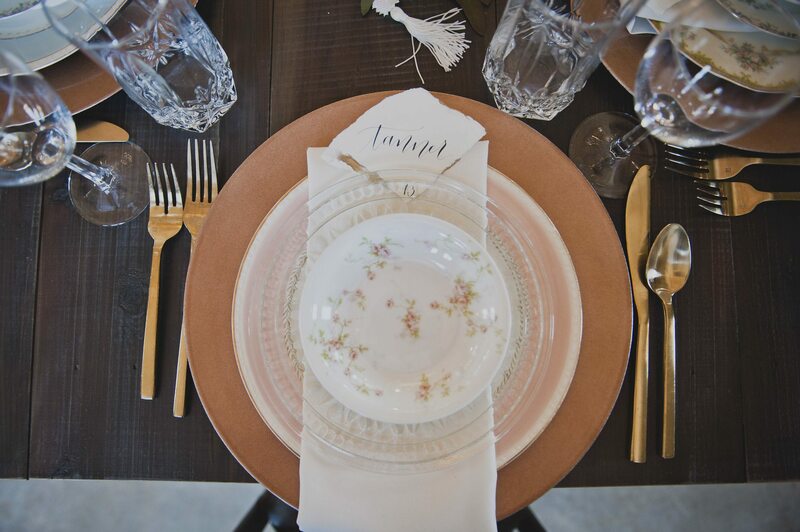 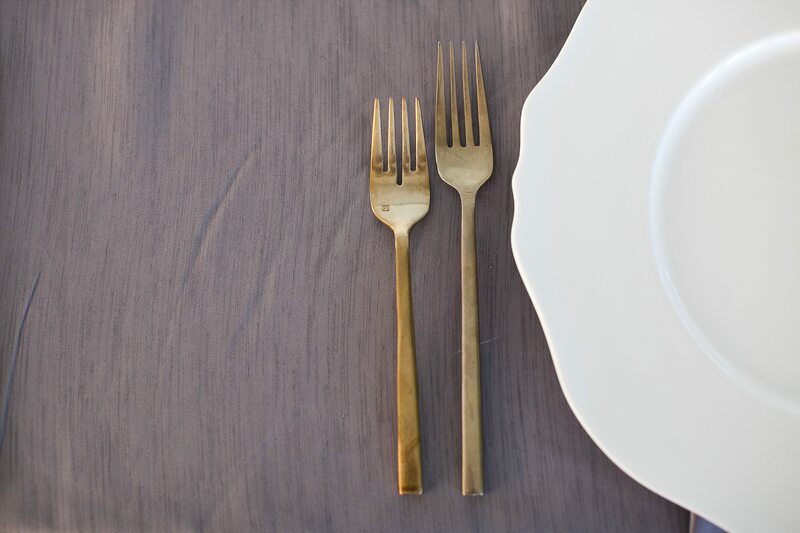 A more modern place setting saw our Gold Austin Flatware next to the Glass Belmont Charger with Beaded Edge. 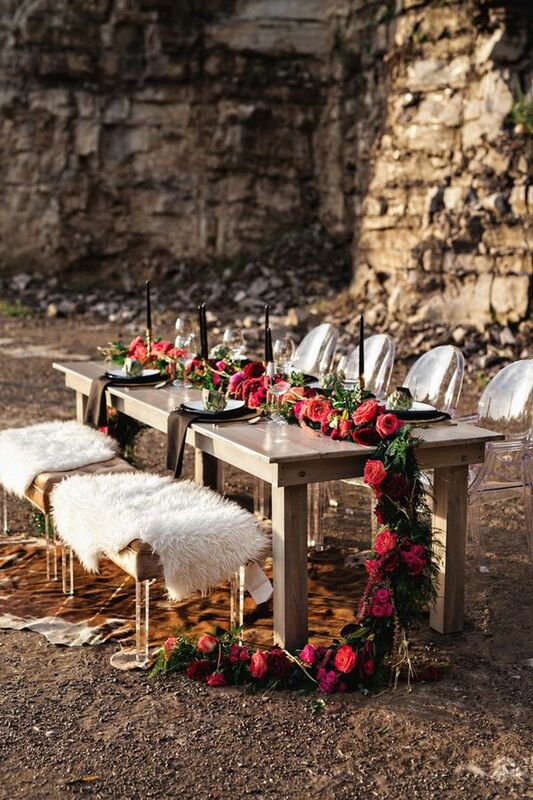 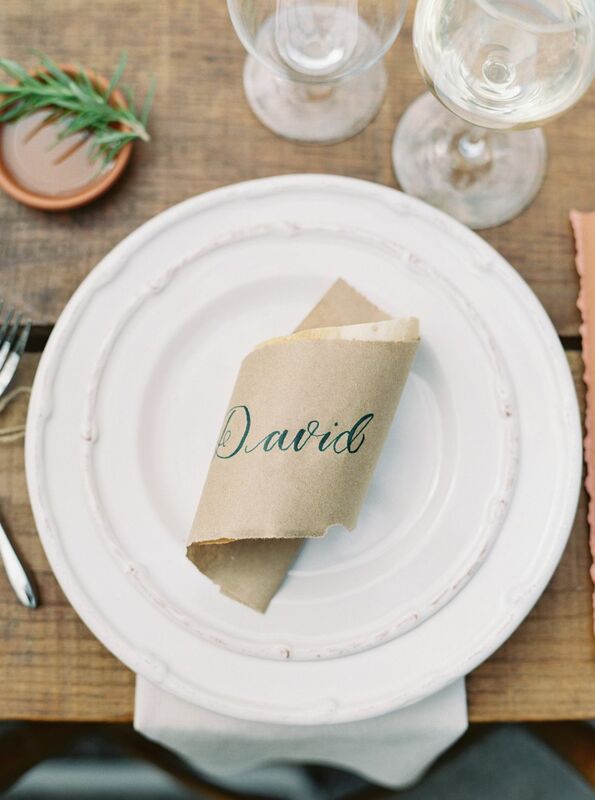 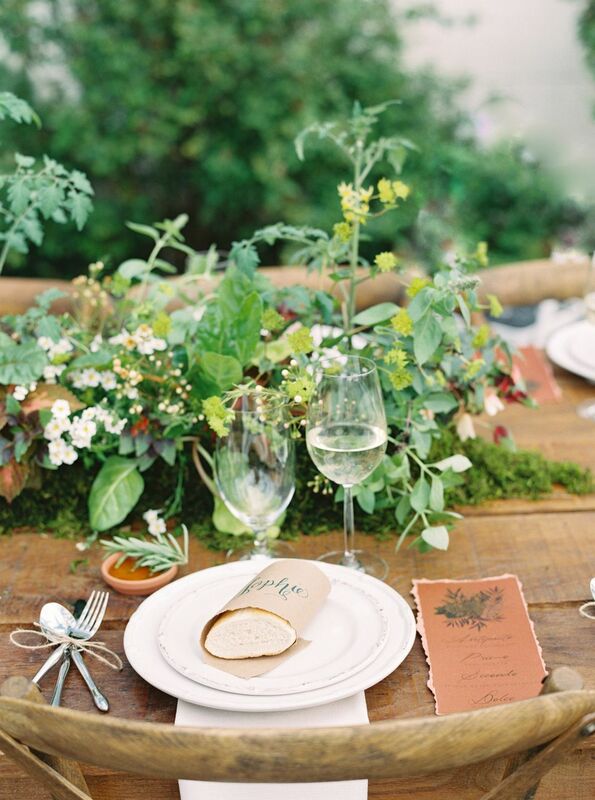 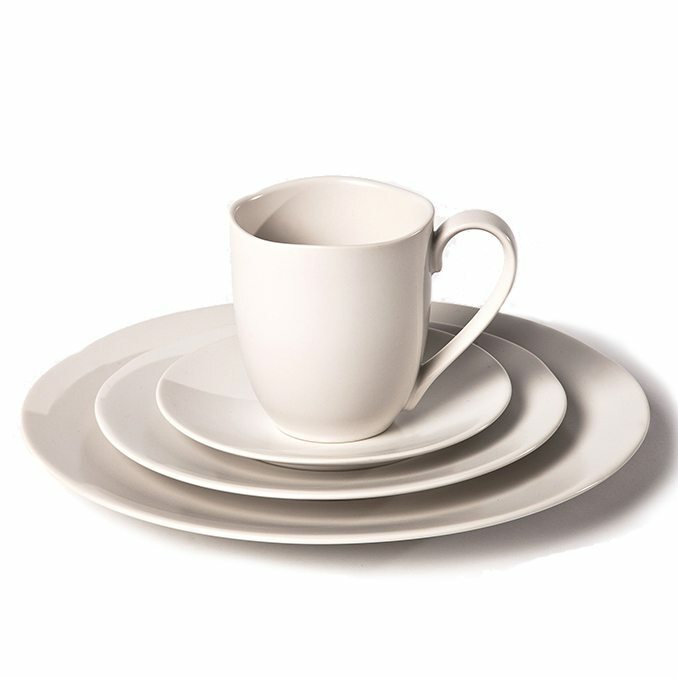 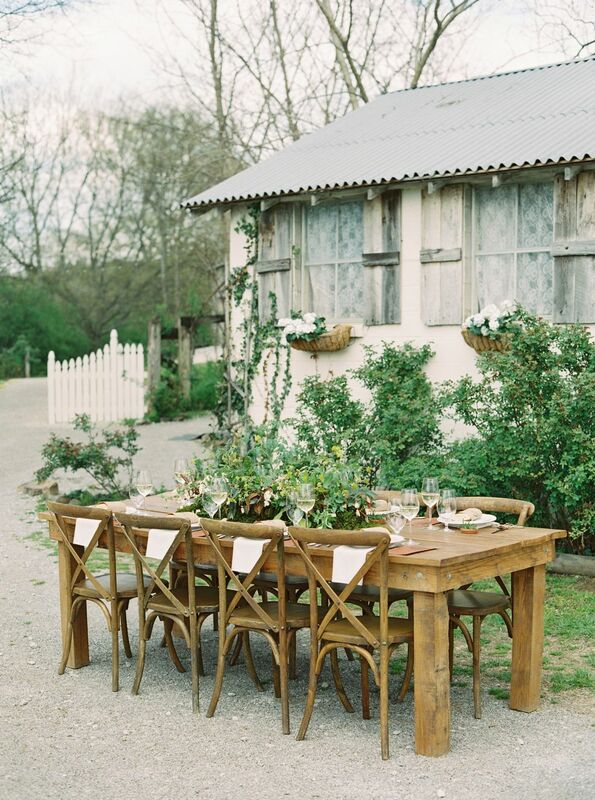 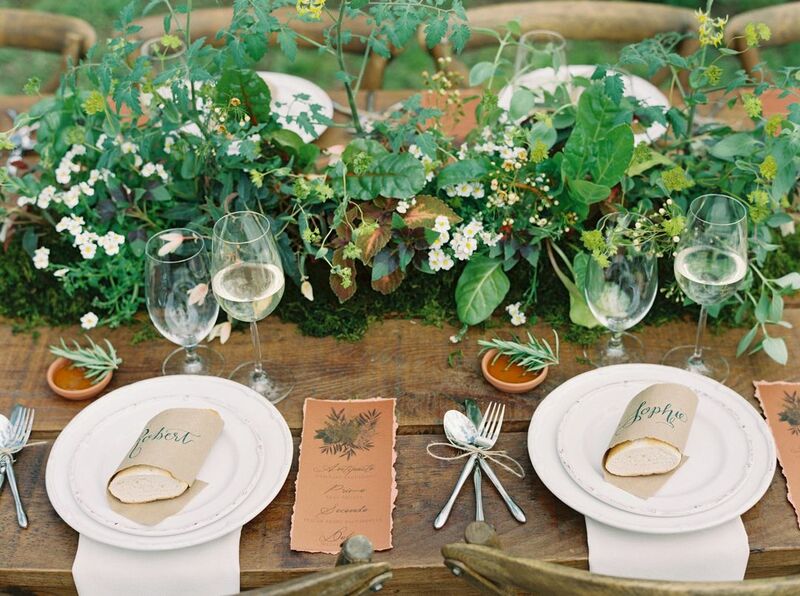 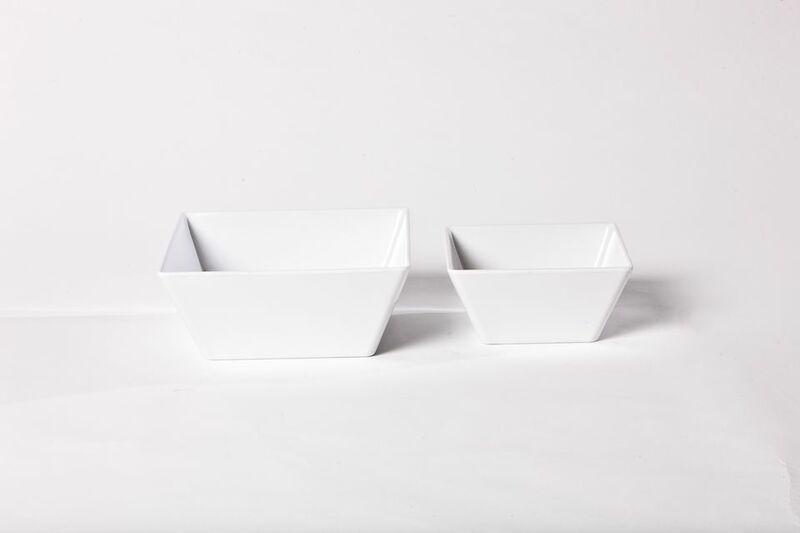 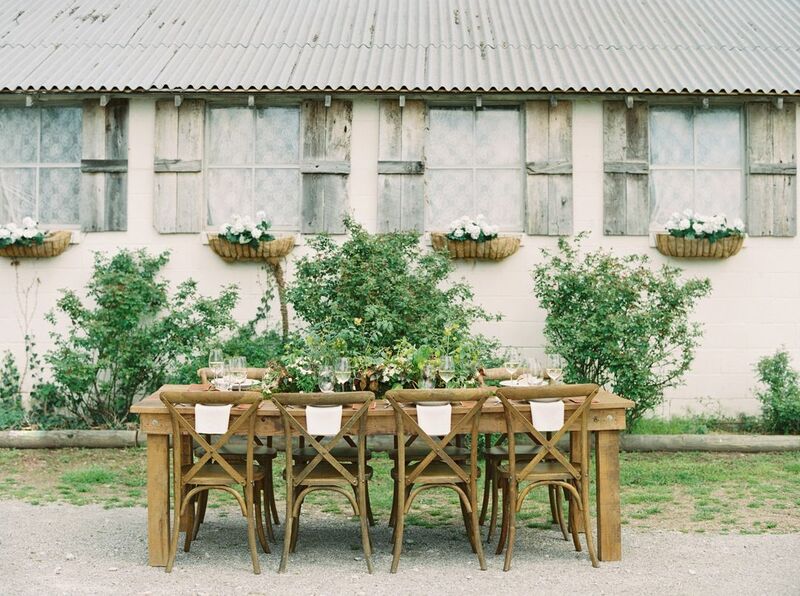 When topped with Alabaster Earthen China and Heritage Gray Napkin, this look was a preppier take on the rustic setting. 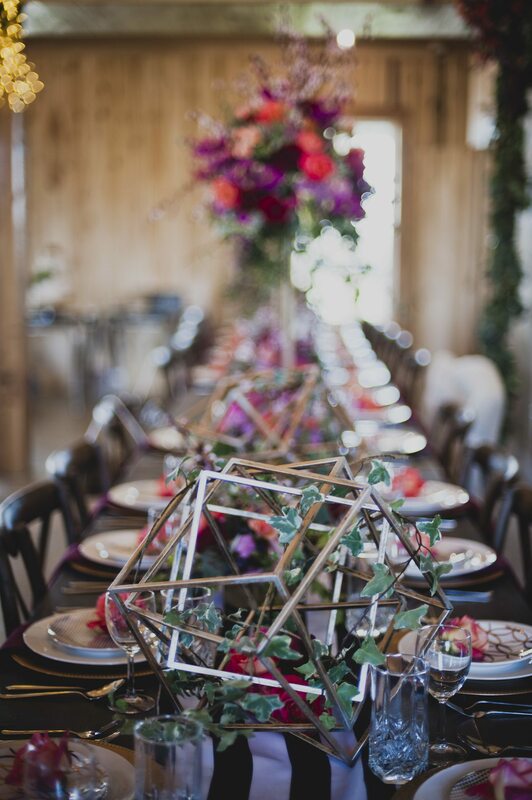 The final tablescape was a dramatic burst of gold and pink with rich blooms from The Enchanted Florist. 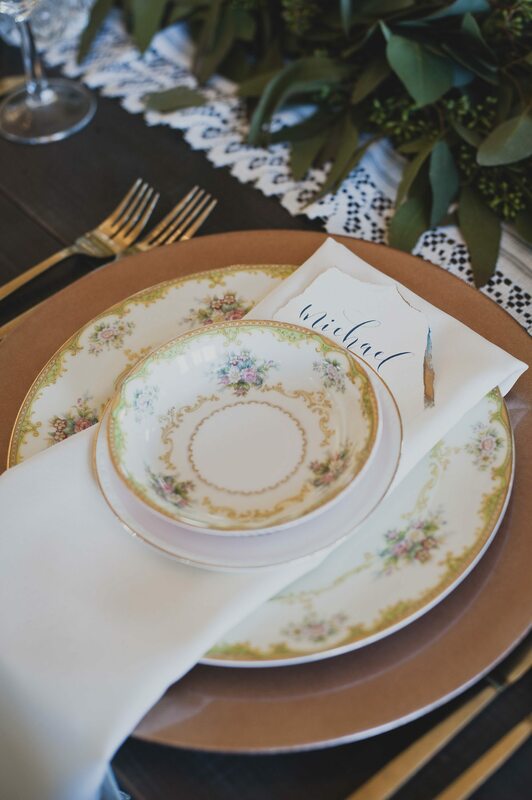 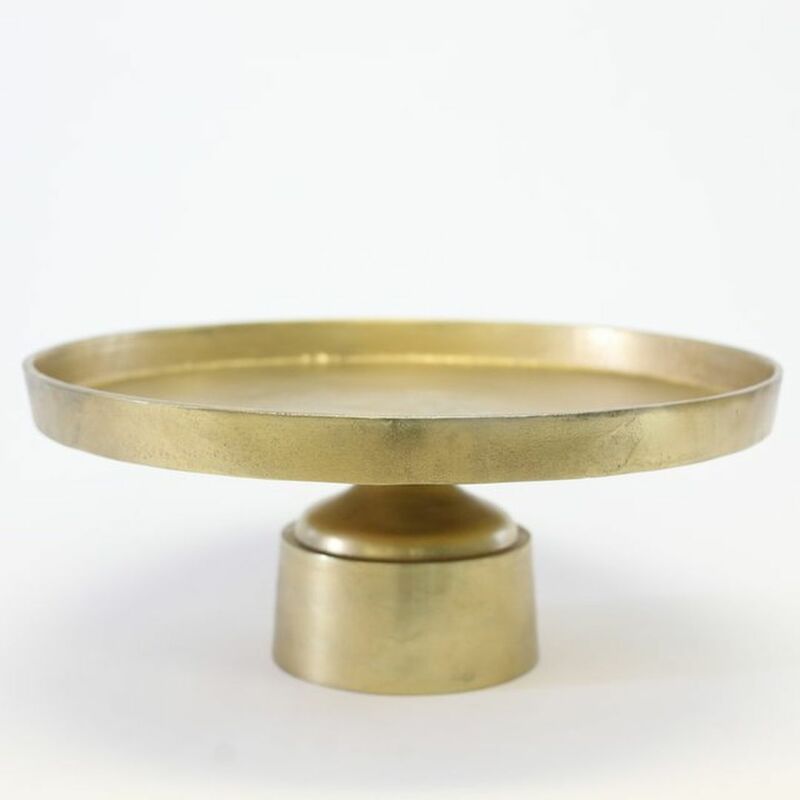 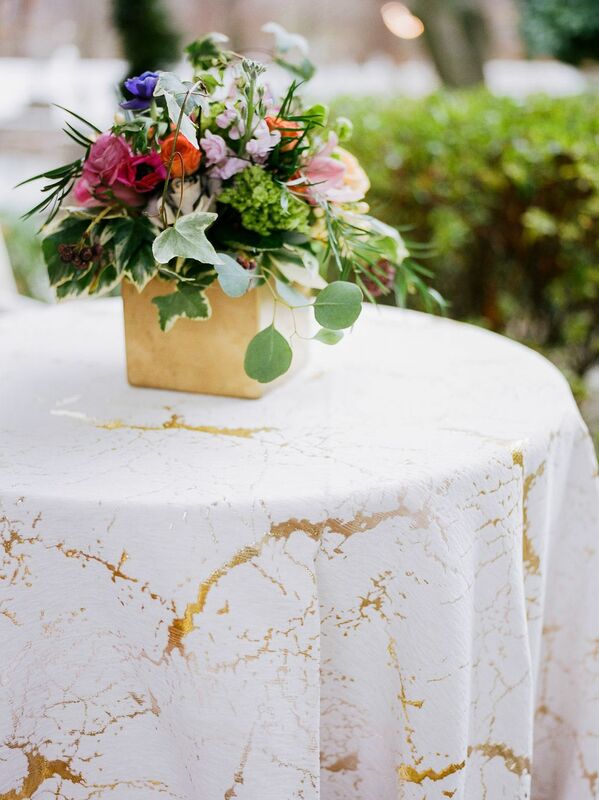 A Gold Charger was topped with our Alabaster Earthen China and our new Kate Salad Dessert Plate in gold polka dots. 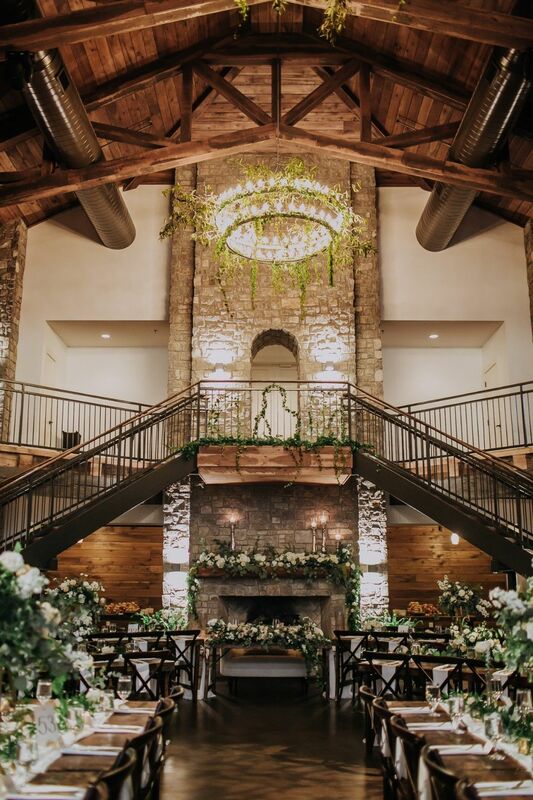 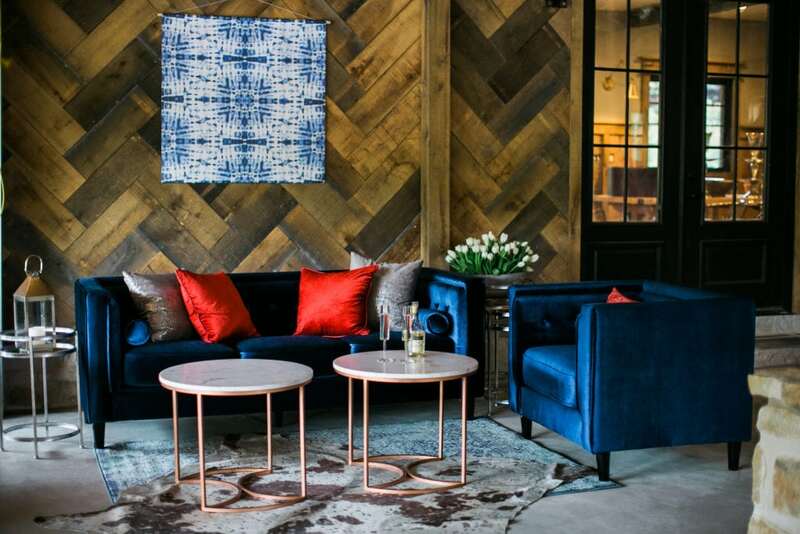 Our Gold Metal Intersect Cube completed the look as the centerpiece, styled perfectly to add a little glam to this beautiful barn. 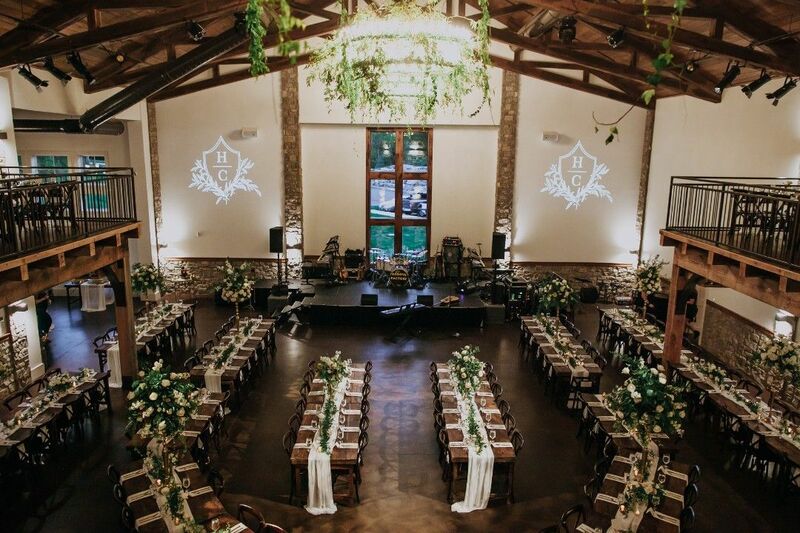 Each look was stunning in its own right and showed off the versatility of the venue. 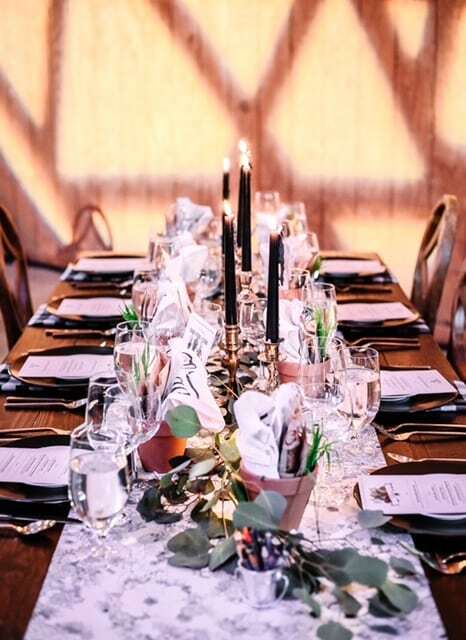 We look forward to the many events they will host! 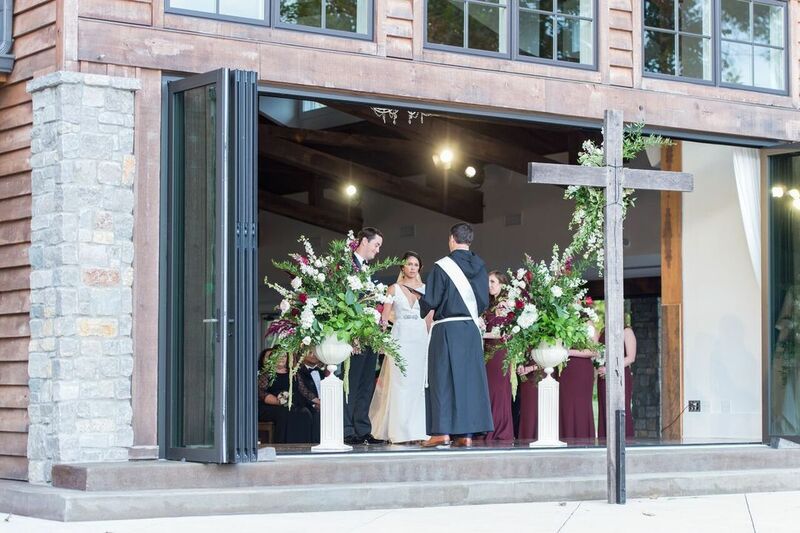 All photos courtesy of Khaki Bedford Photography. 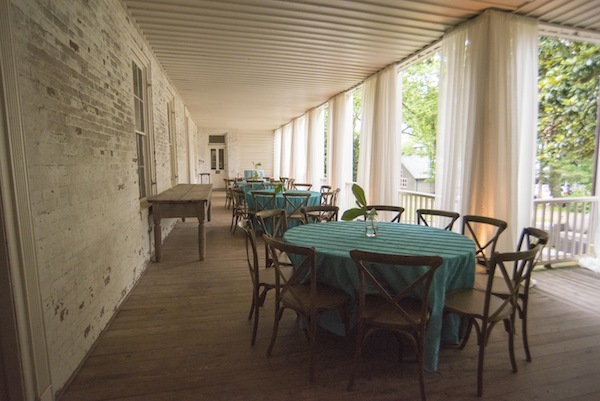 We were happy to provide the rentals for TWESA‘s June meeting, held at the historic Travellers Rest Plantation! 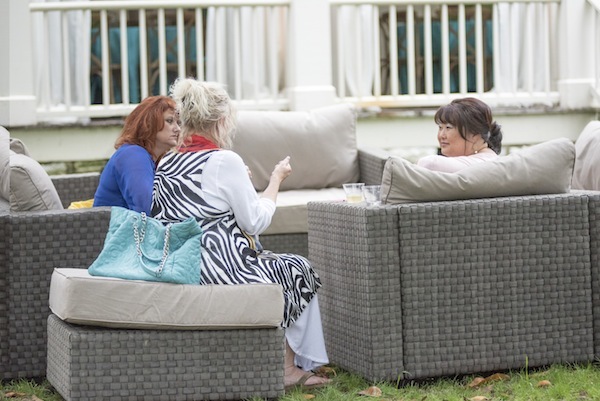 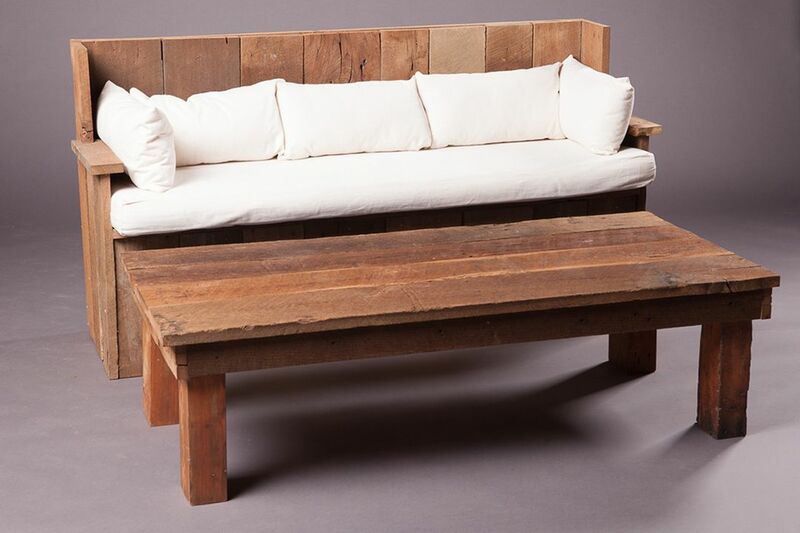 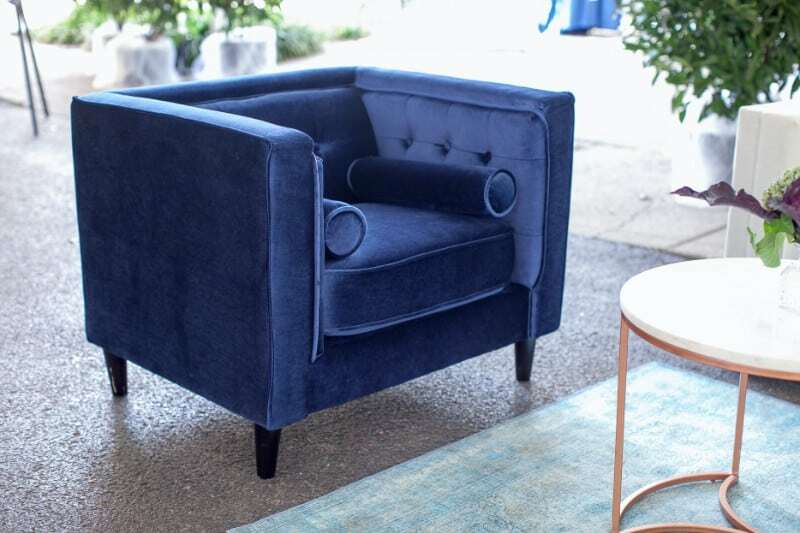 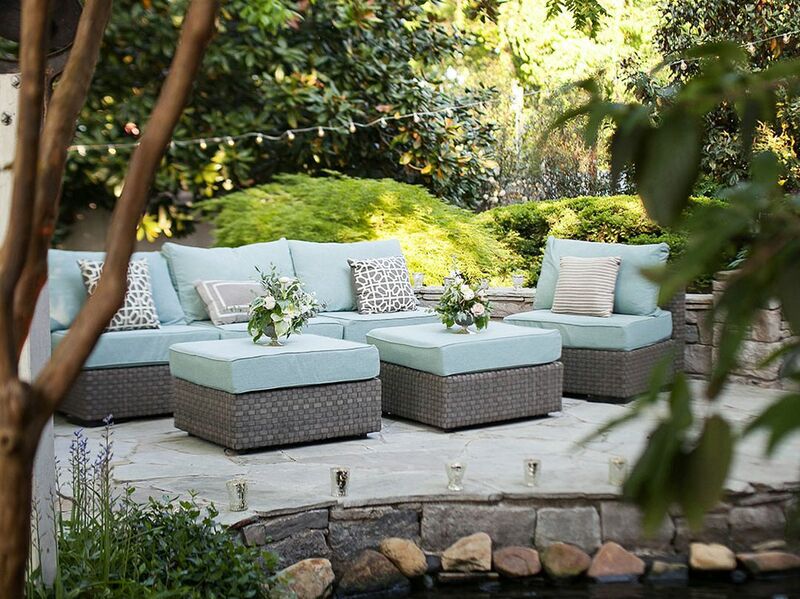 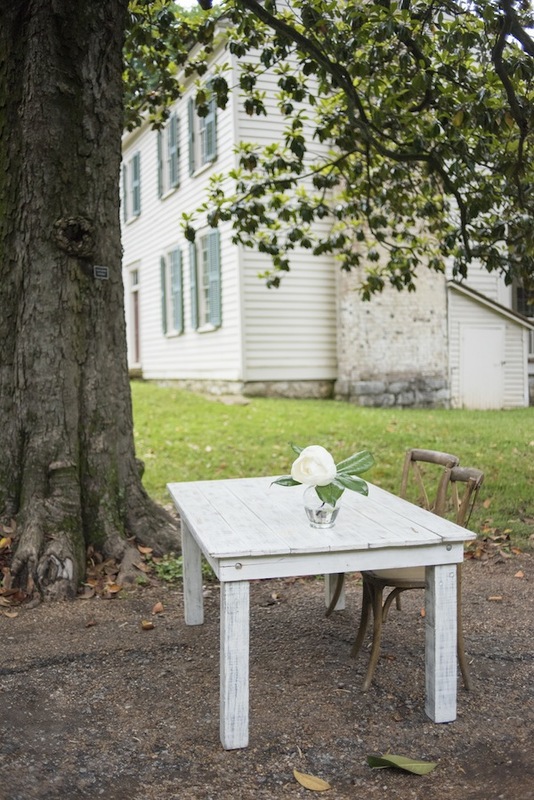 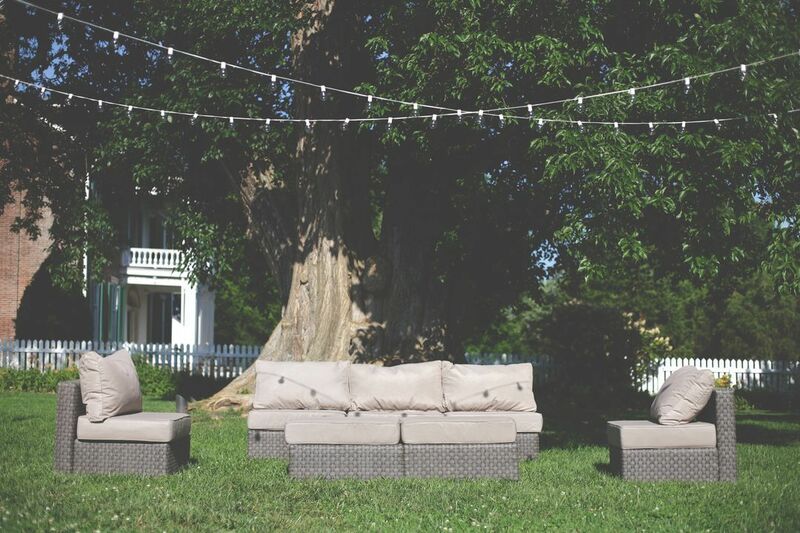 It was a lovely event on a beautiful late spring evening, and we had a chance to debut some of our newest items, including our White Franklin Bar and Sutton Furniture! 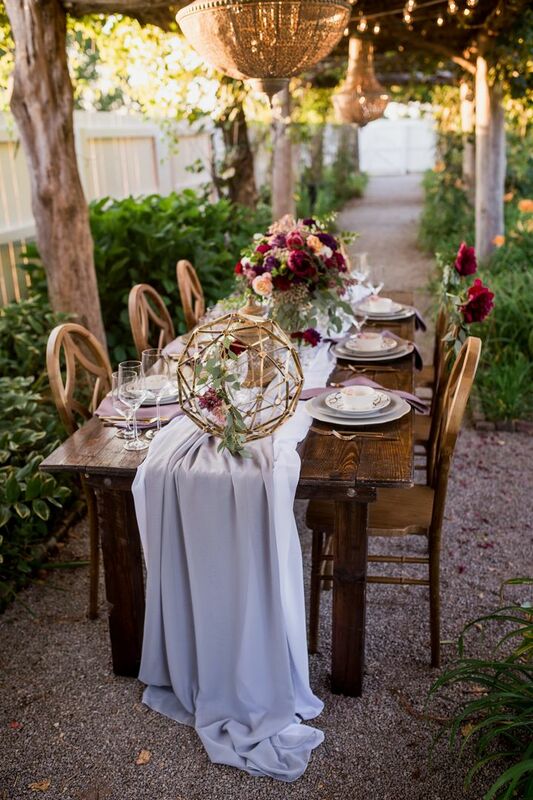 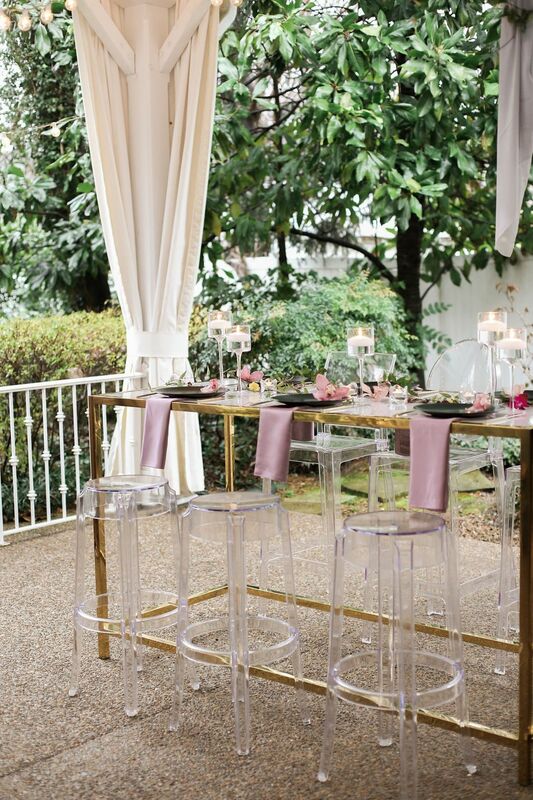 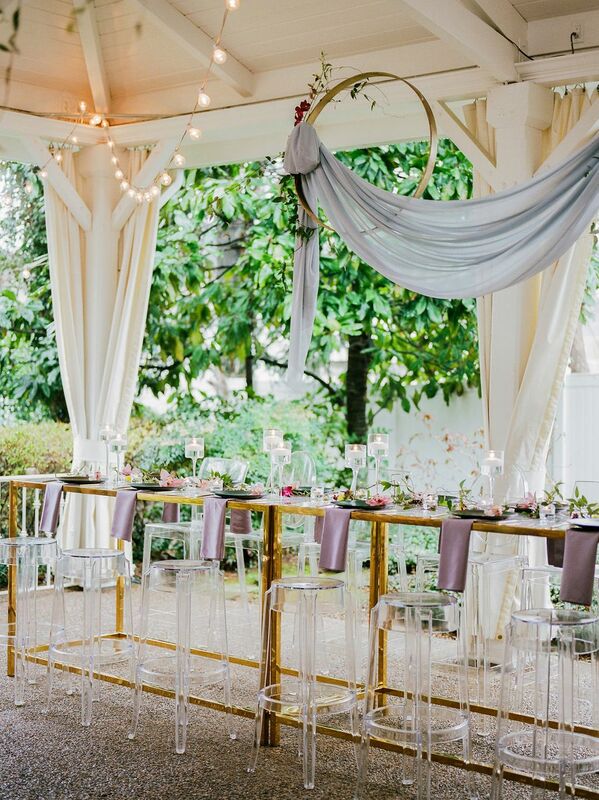 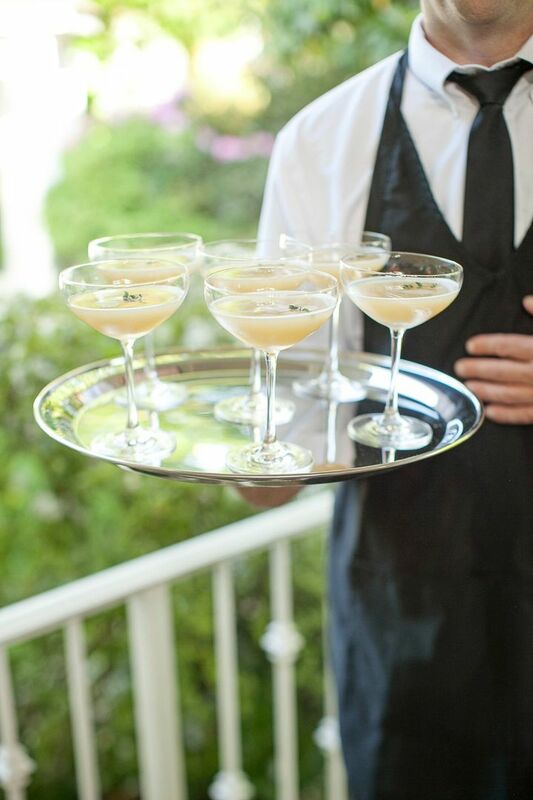 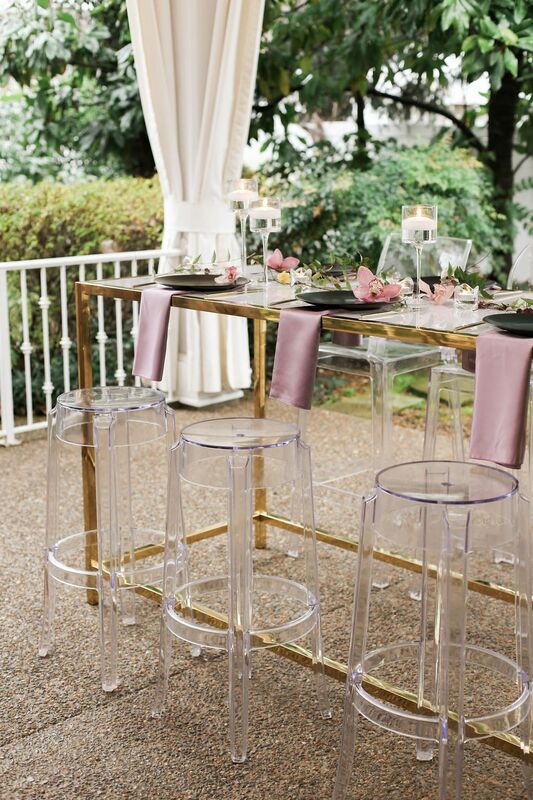 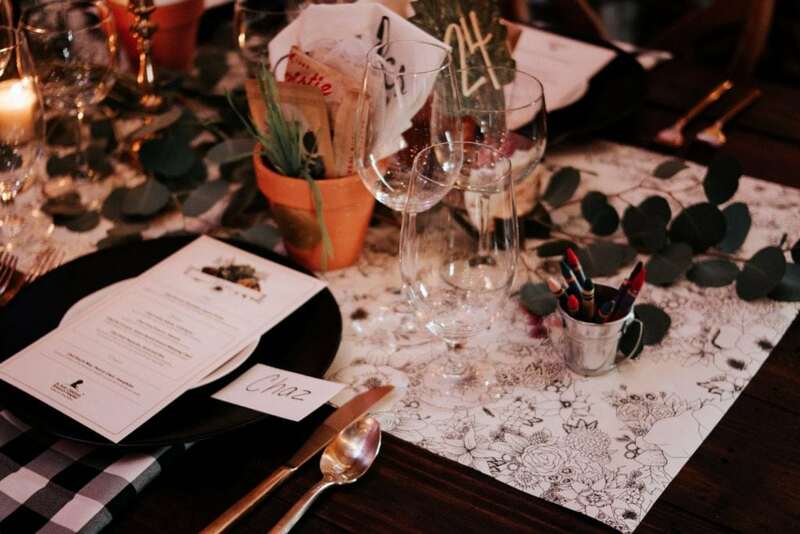 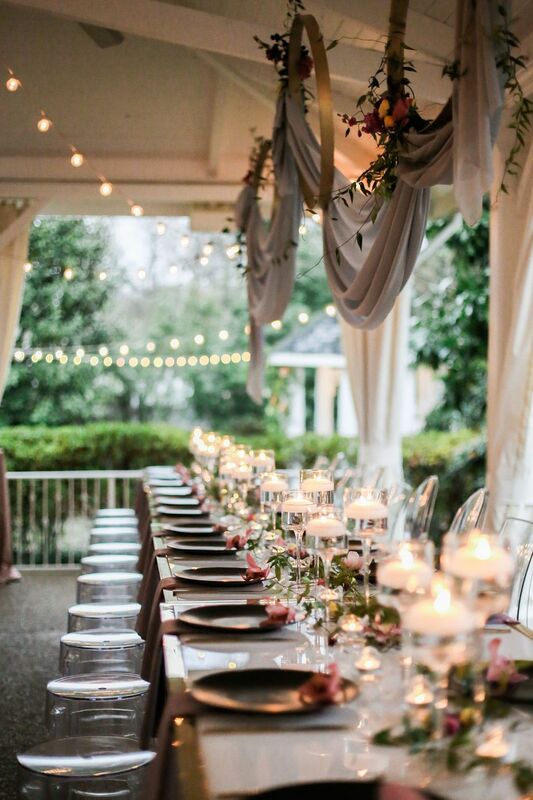 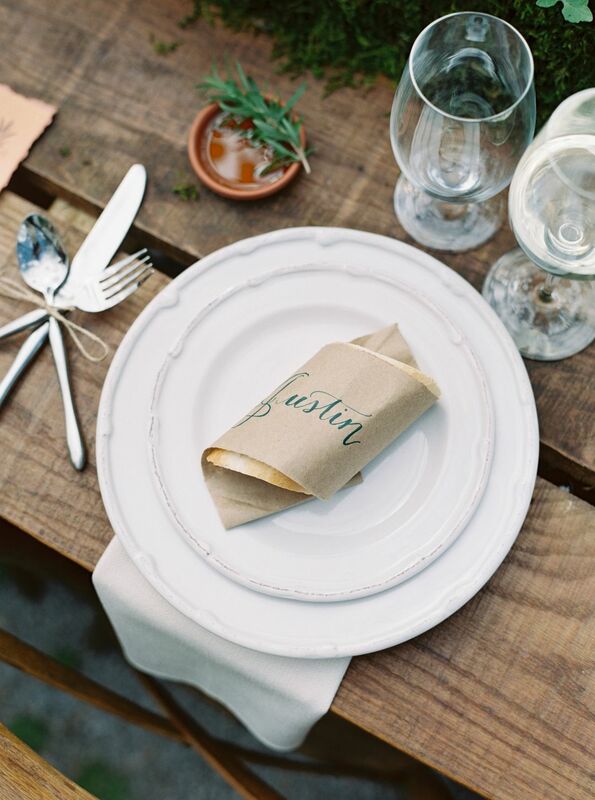 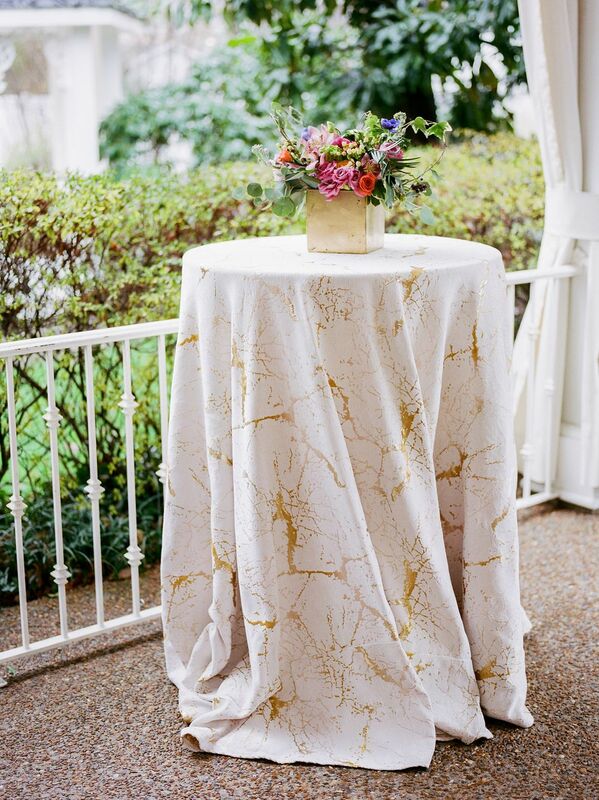 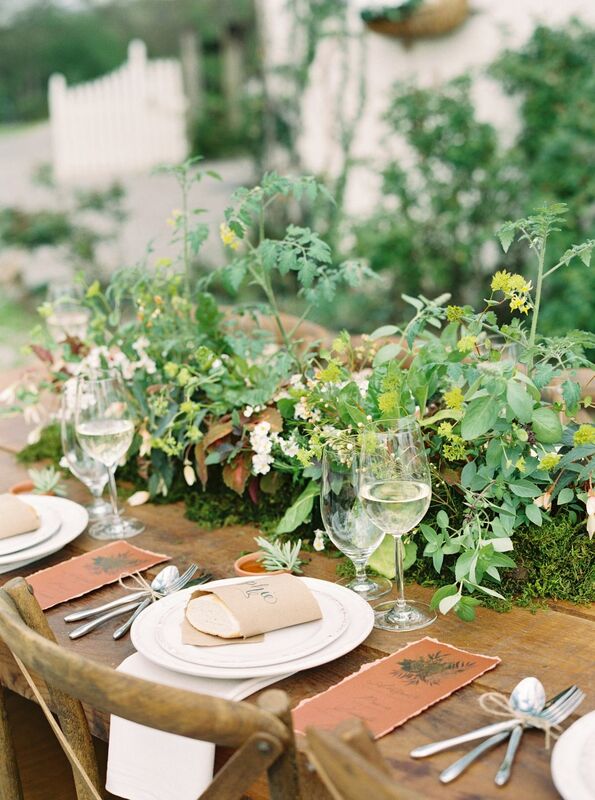 With our Aruba Triple Stitch Pintuck Linens, the event had a breezy summertime-chic vibe. 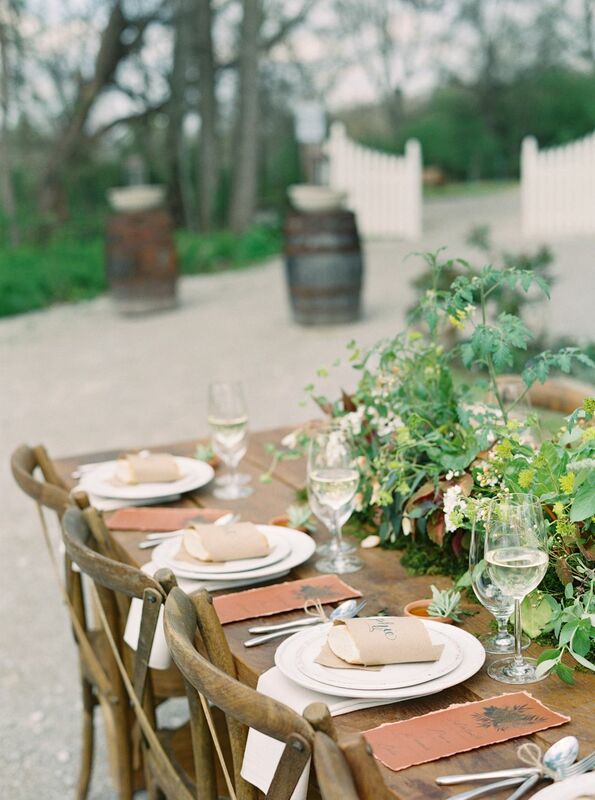 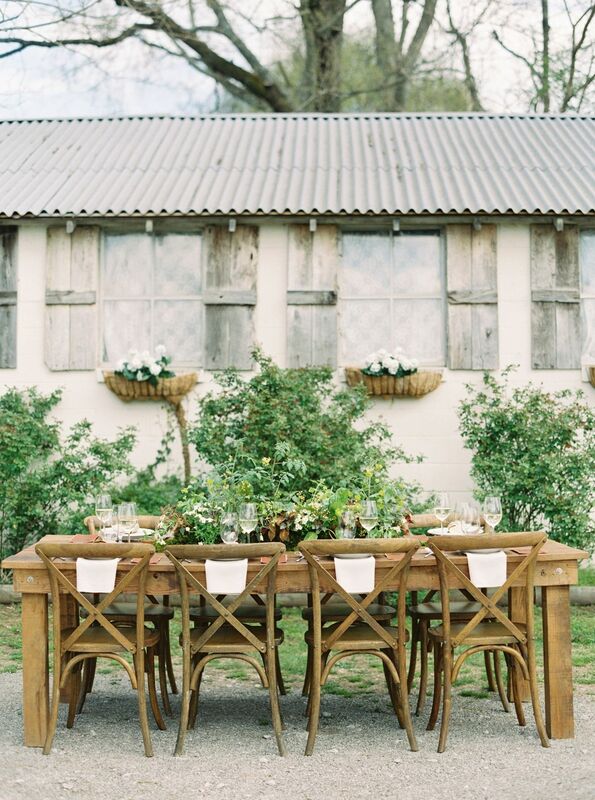 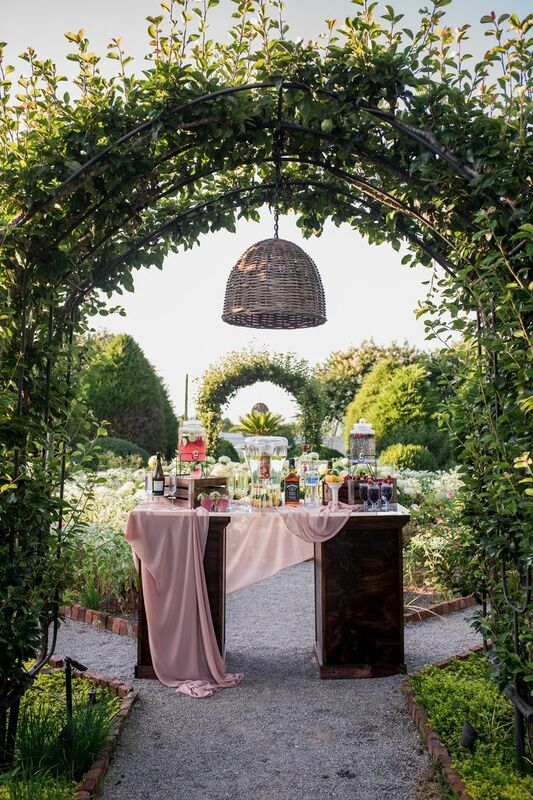 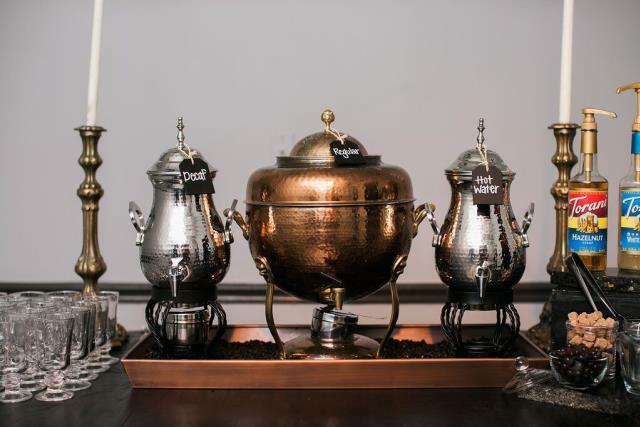 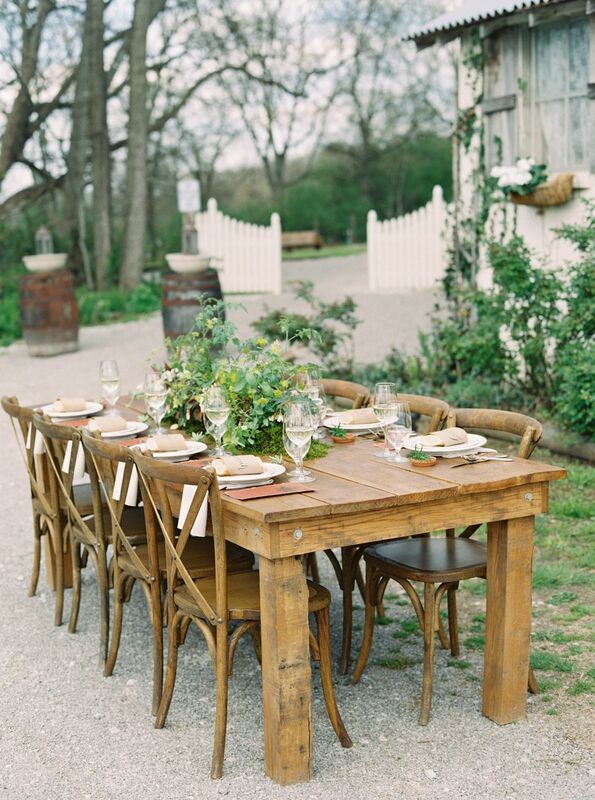 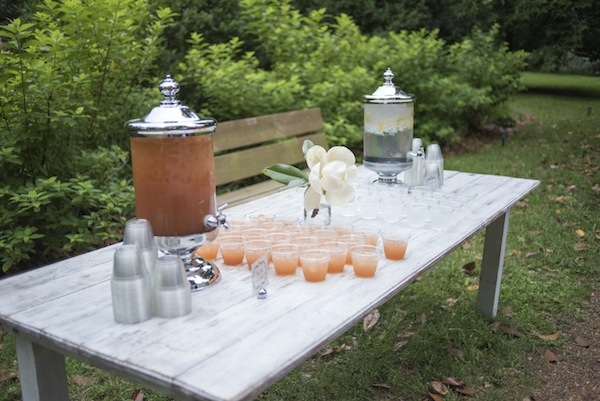 Our White-Washed Farm Tables displayed delicious refreshments for guests to enjoy. 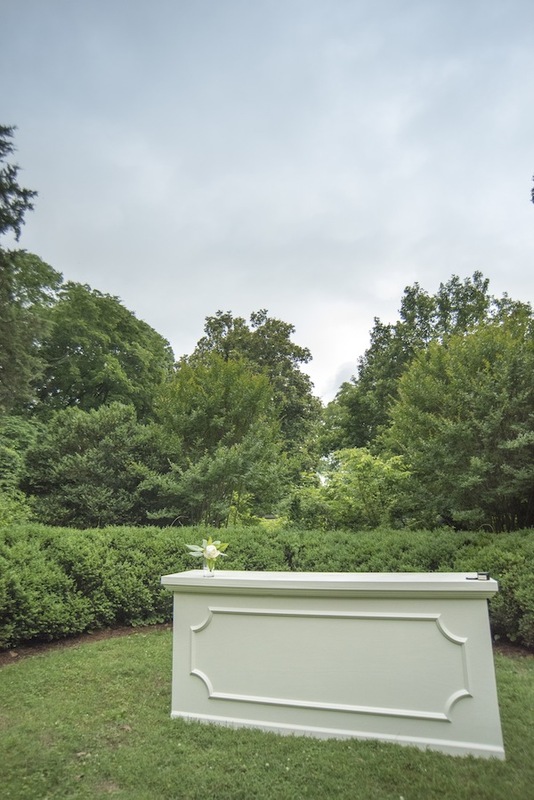 Those big ol’ magnolia blossoms were a sweet southern final touch! 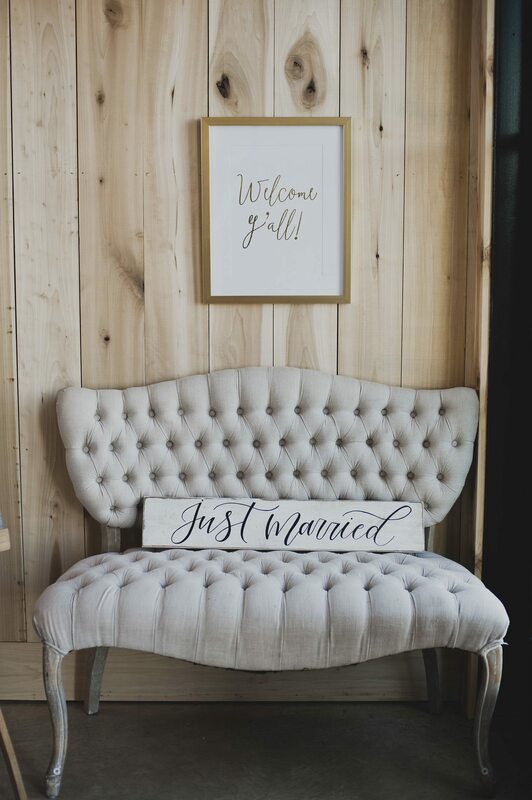 Photography courtesy of Ivory Door Studio.